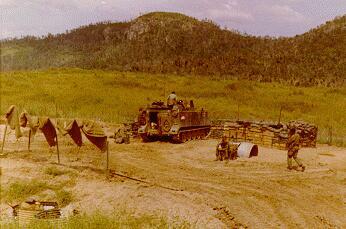 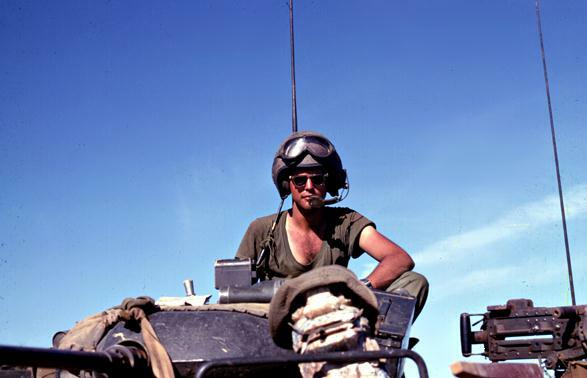 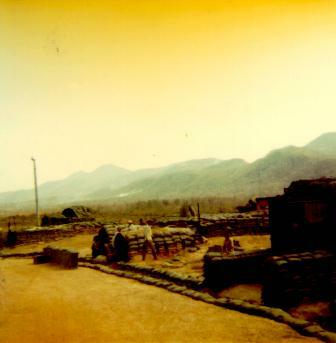 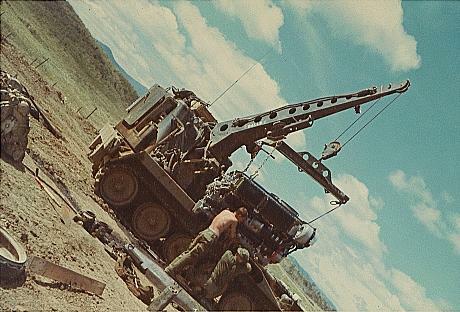 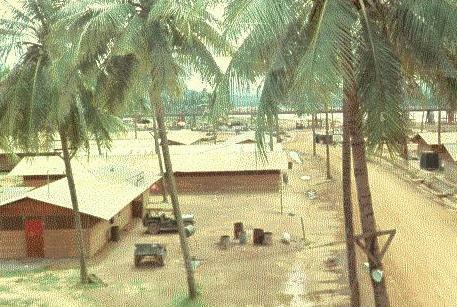 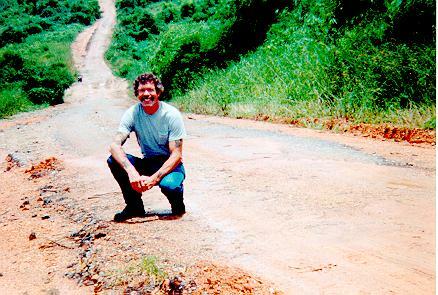 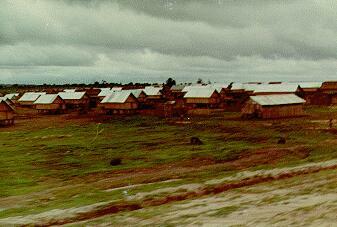 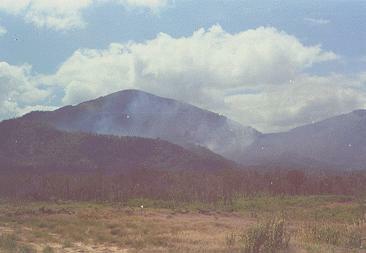 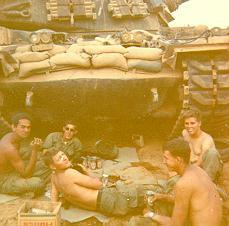 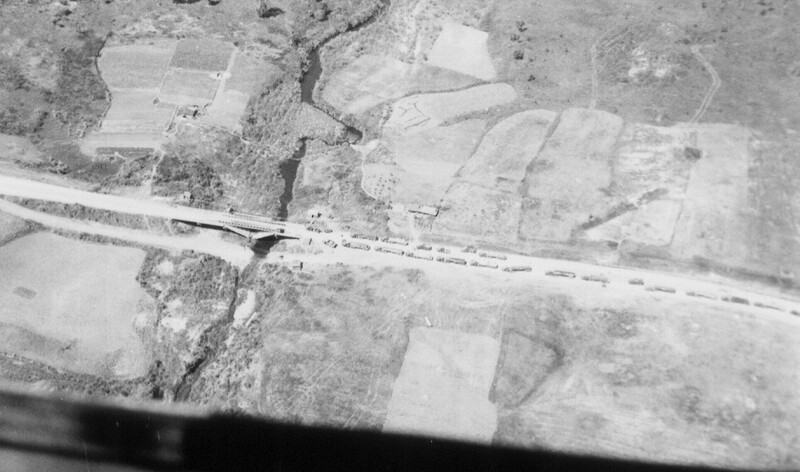 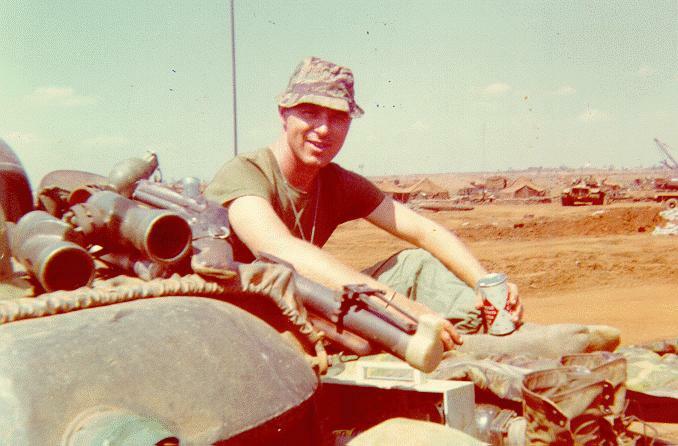 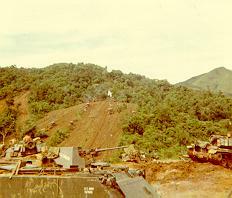 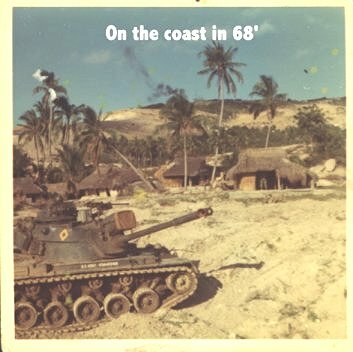 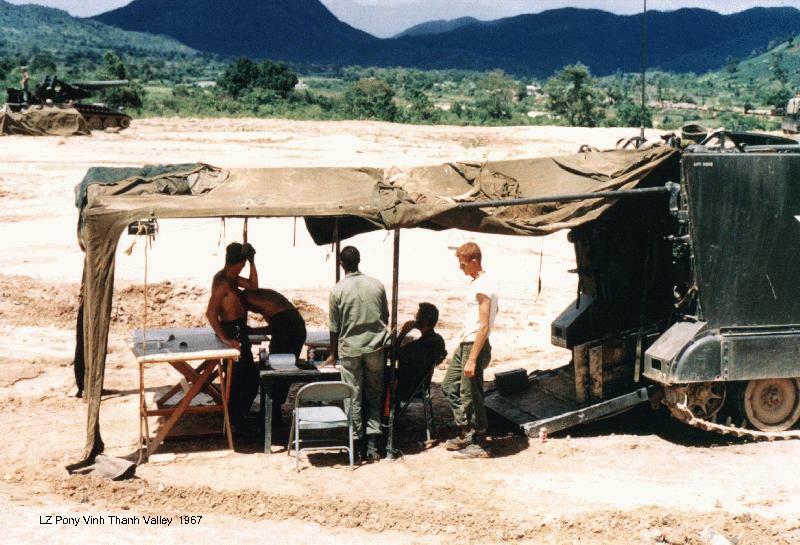 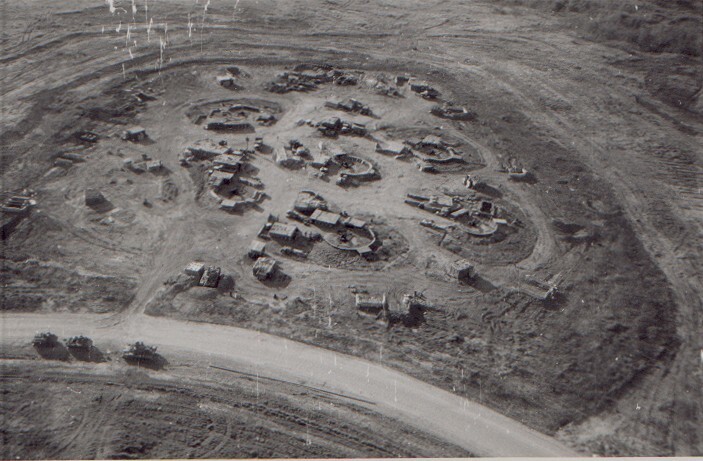 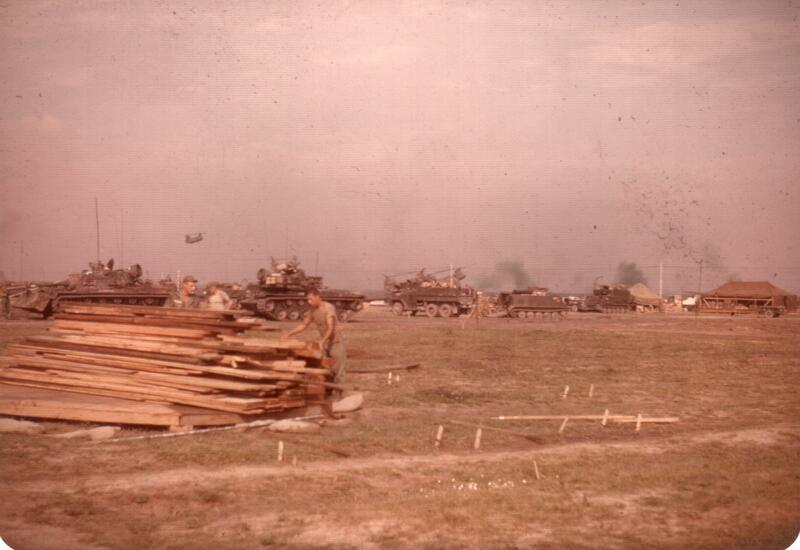 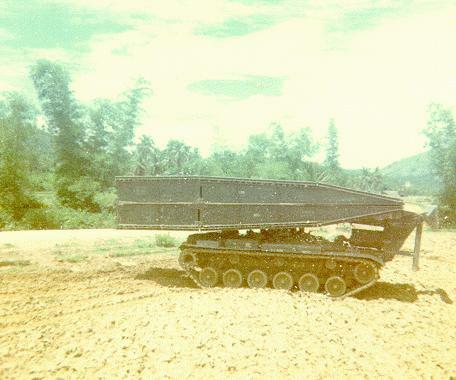 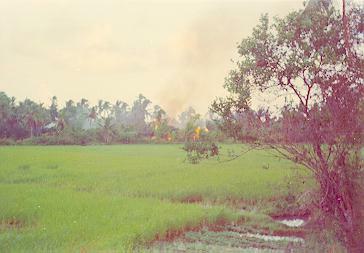 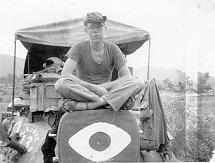 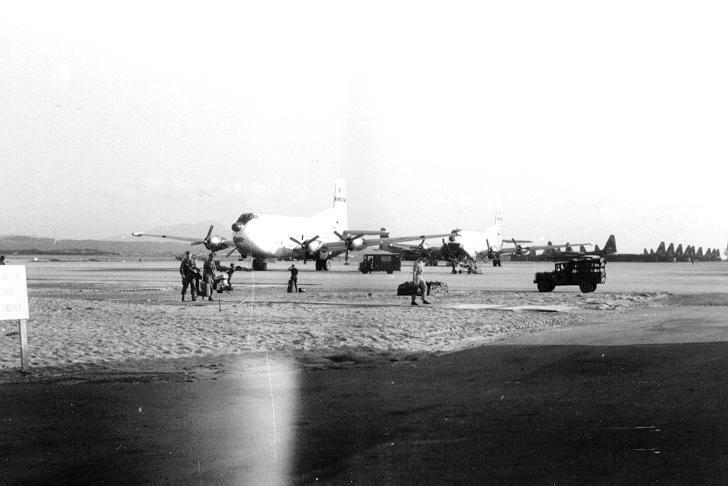 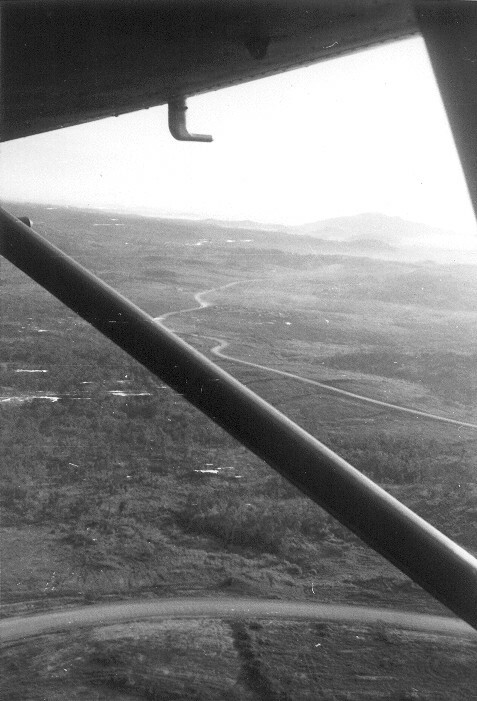 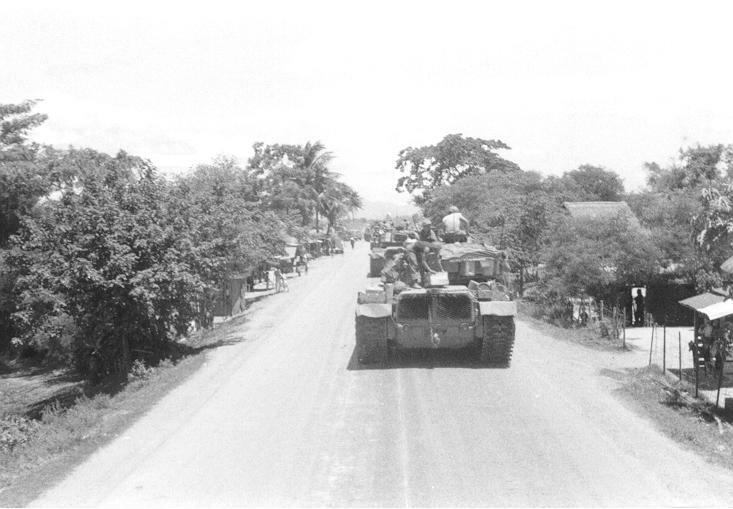 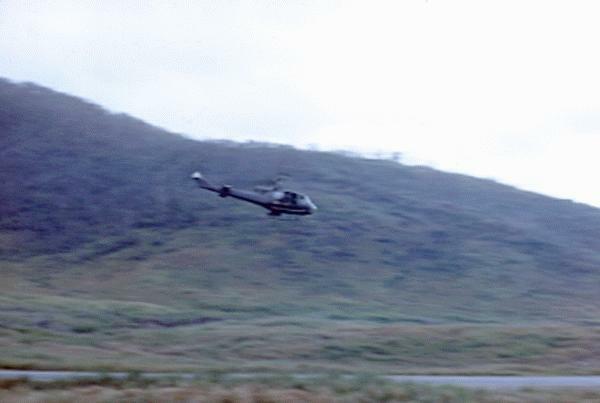 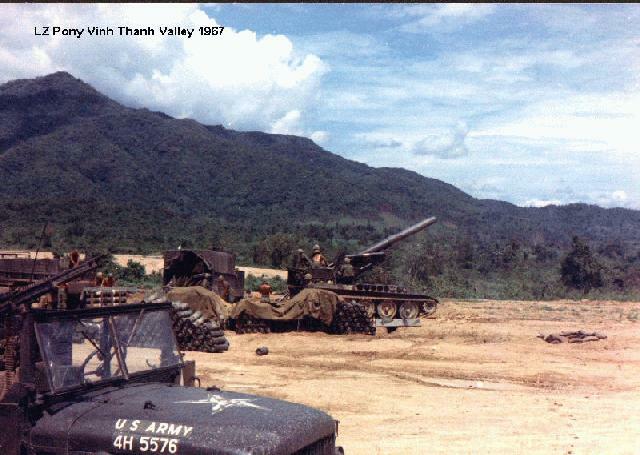 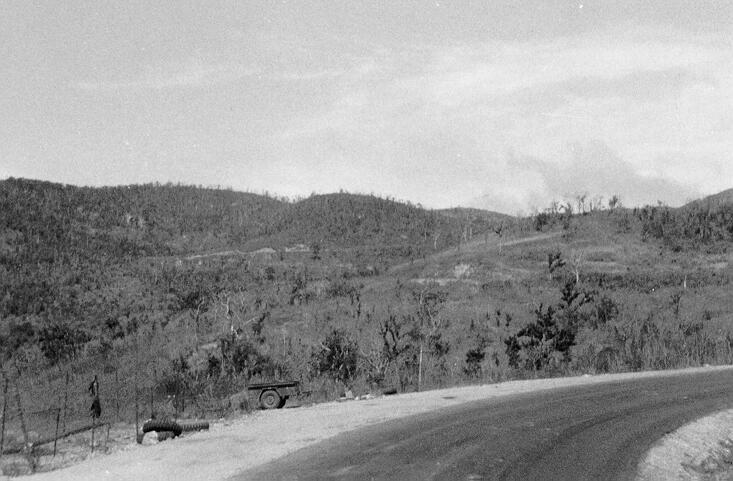 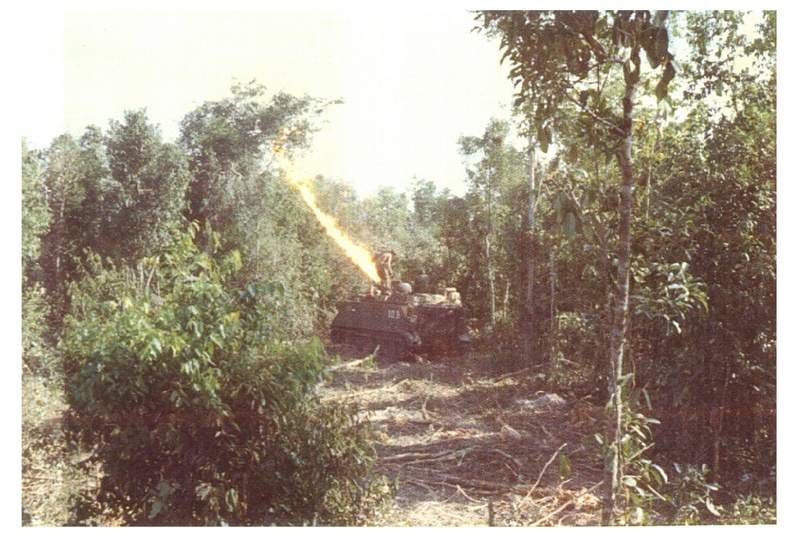 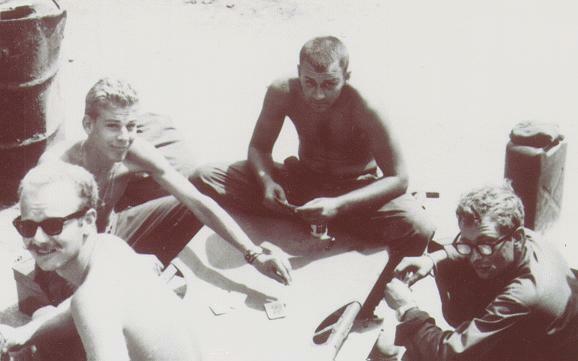 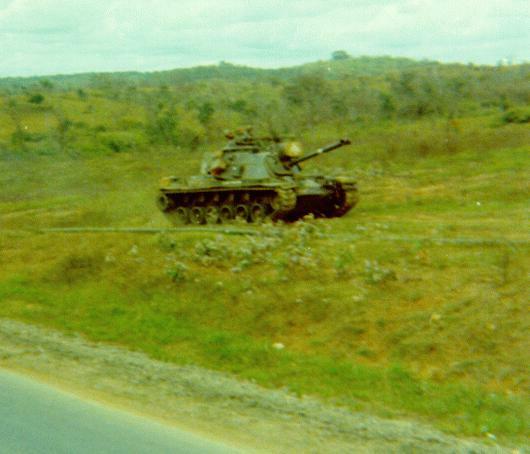 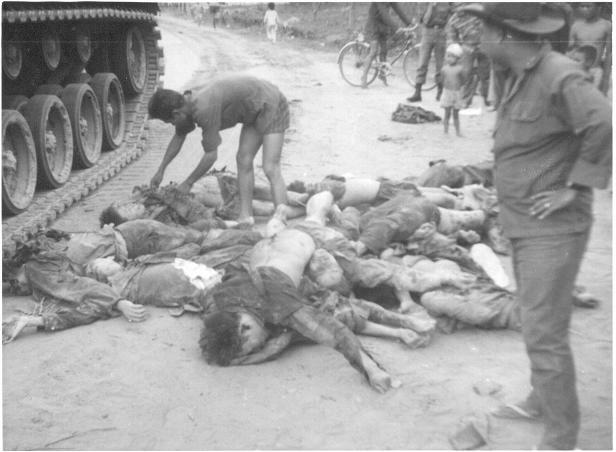 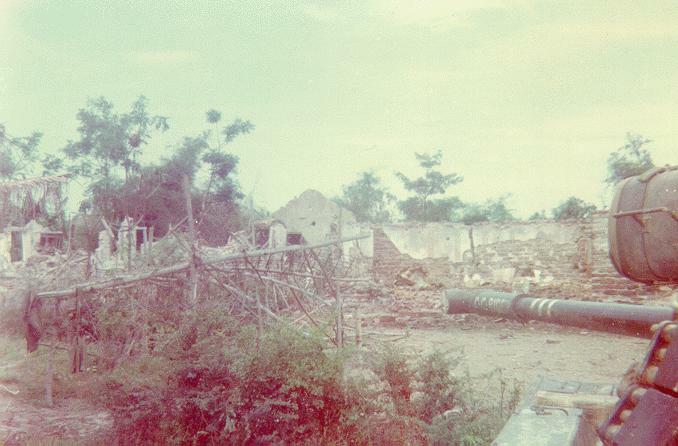 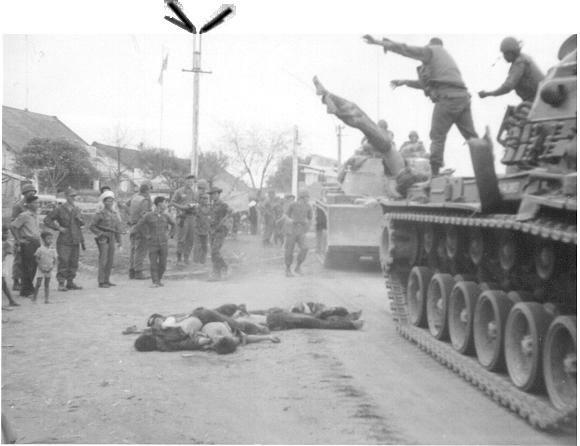 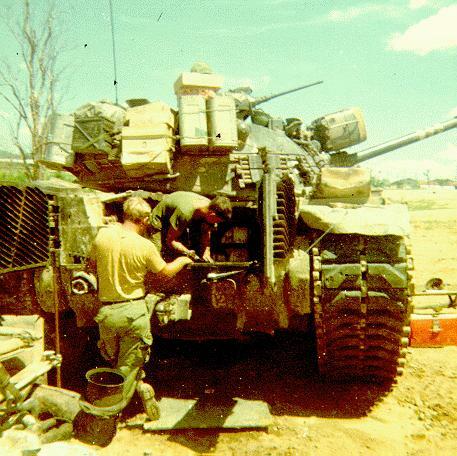 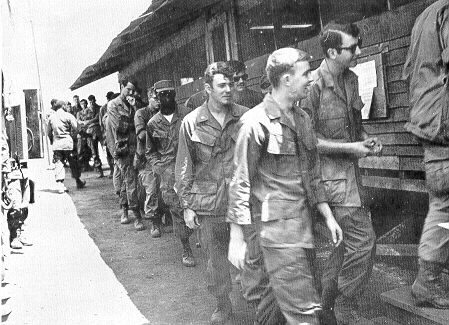 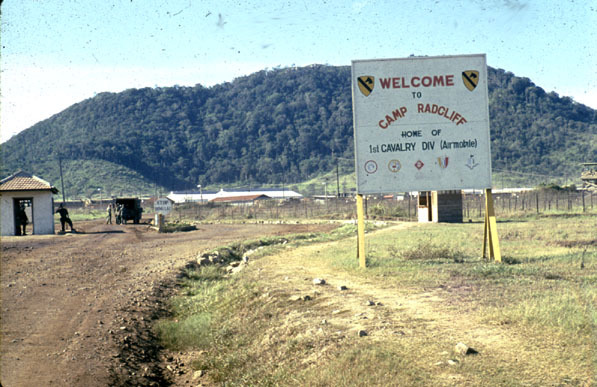 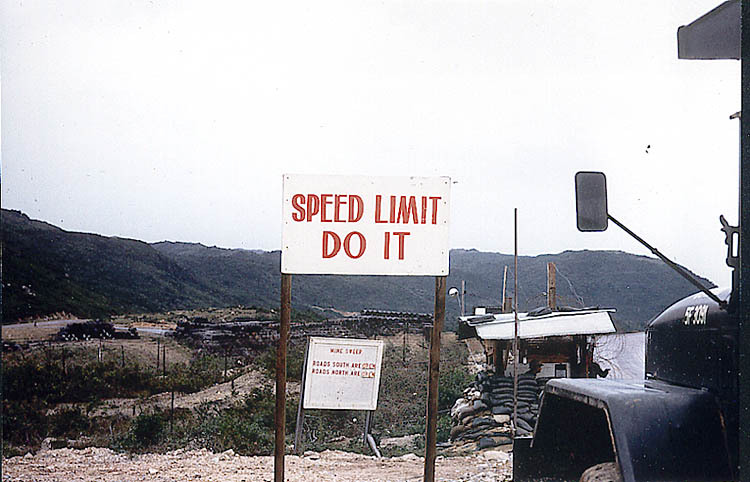 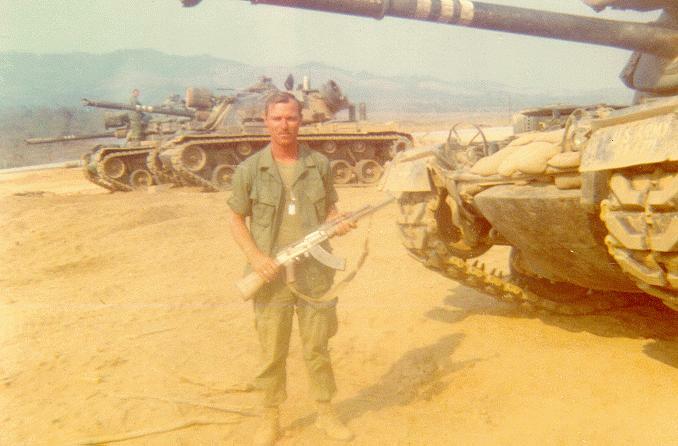 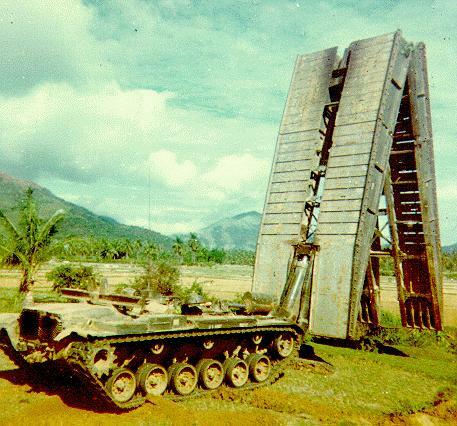 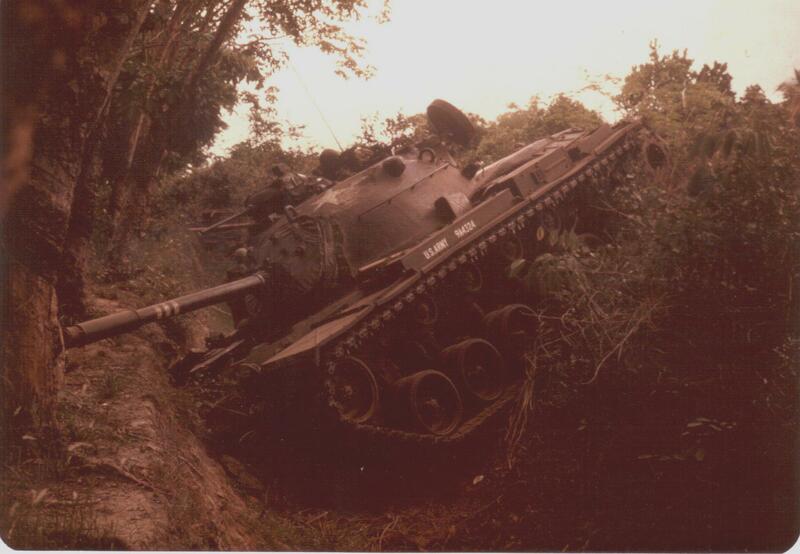 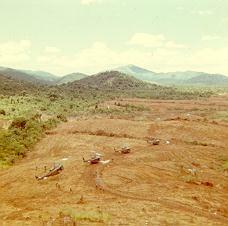 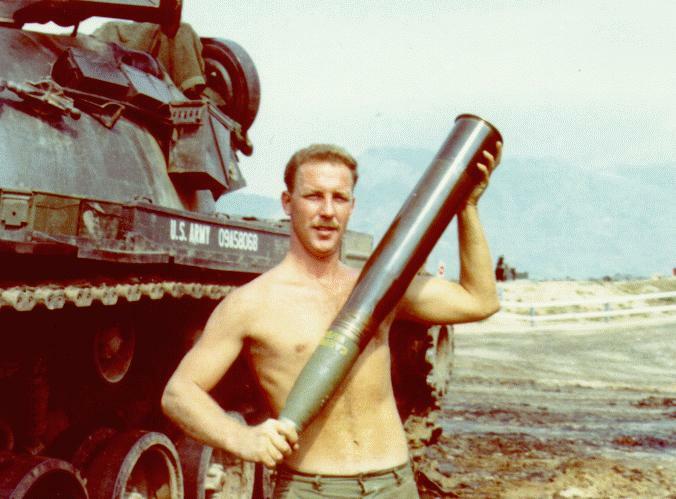 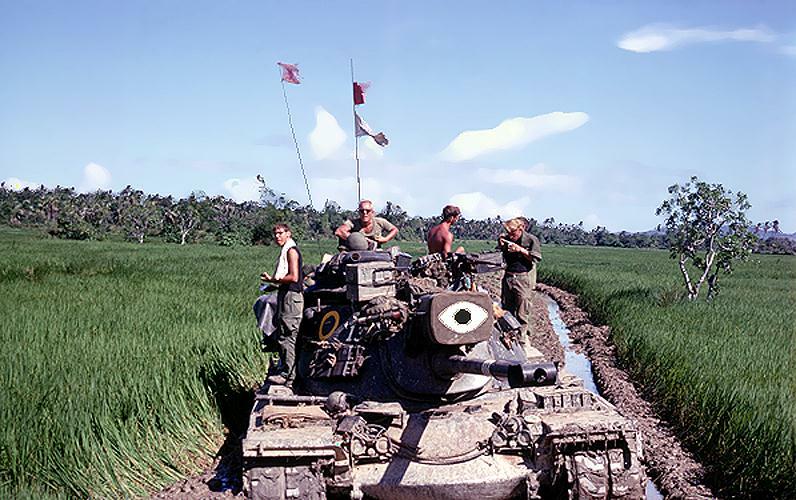 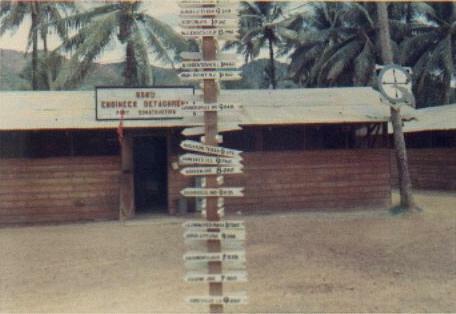 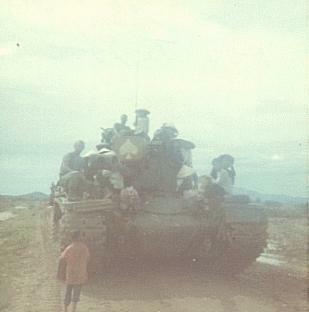 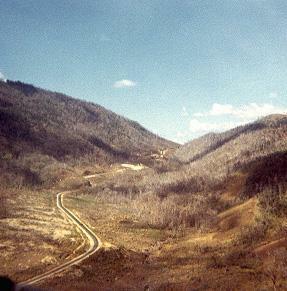 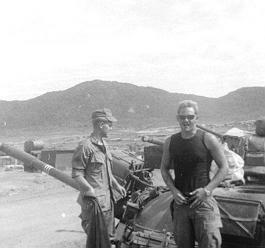 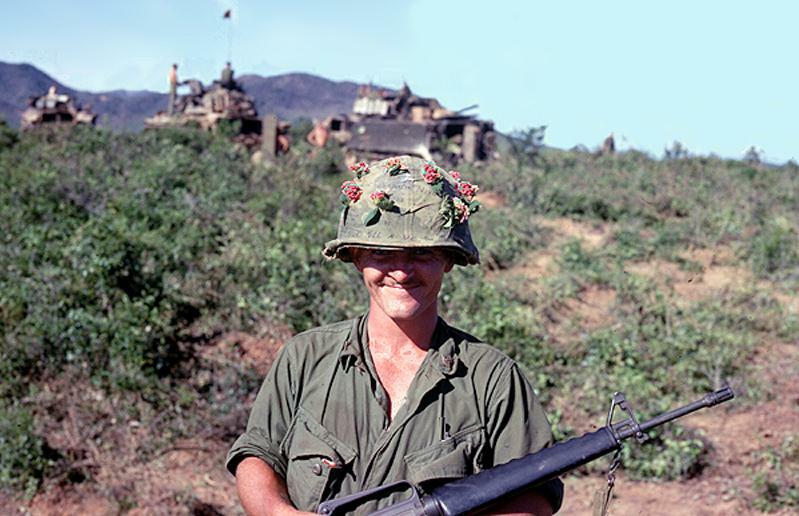 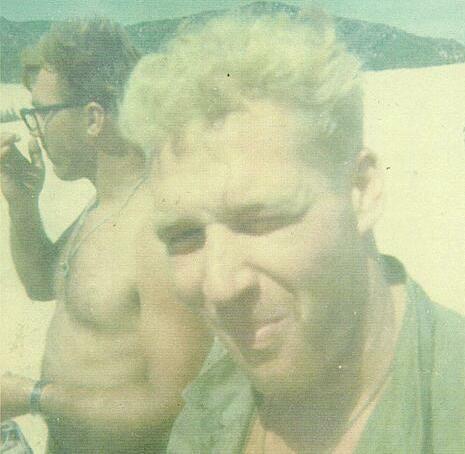 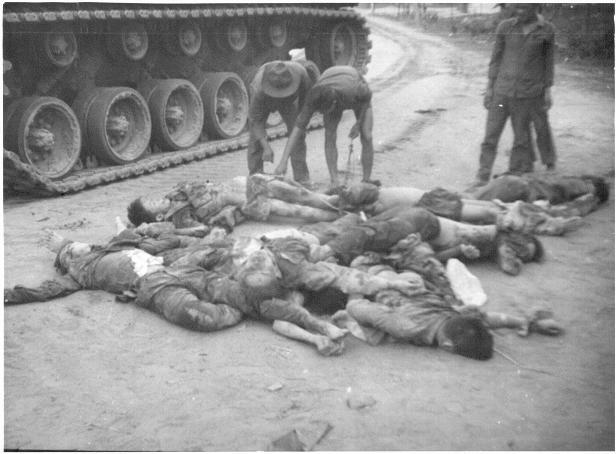 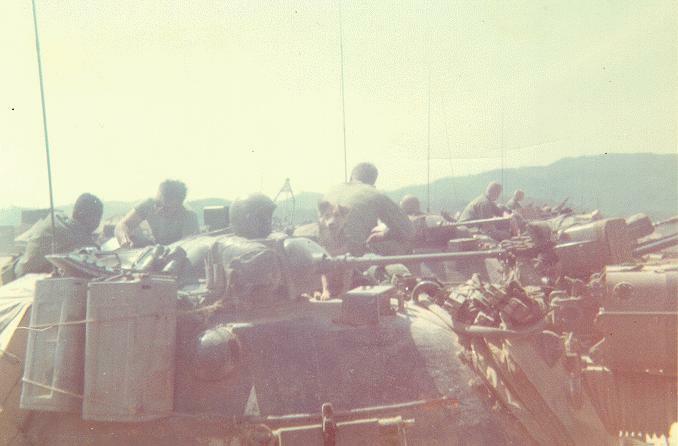 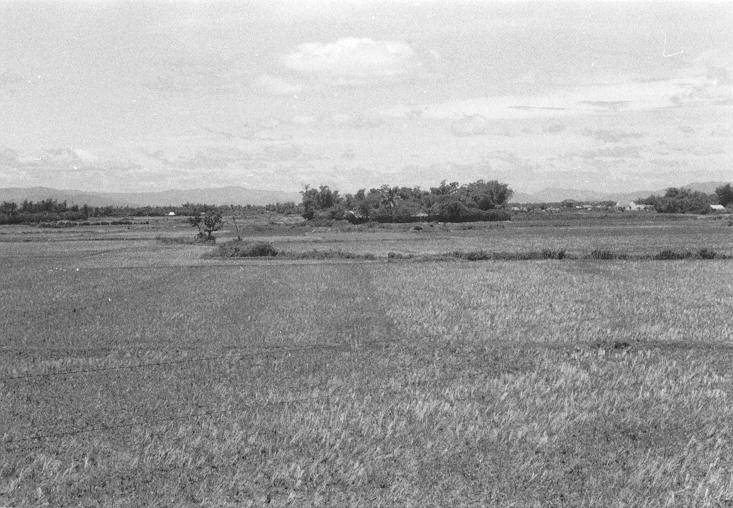 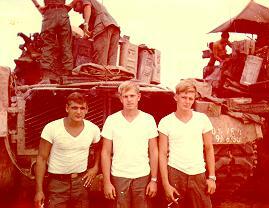 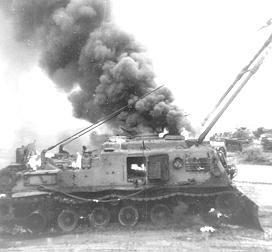 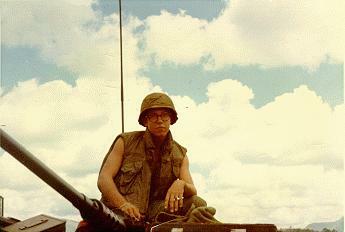 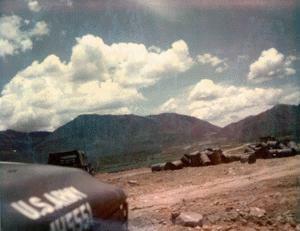 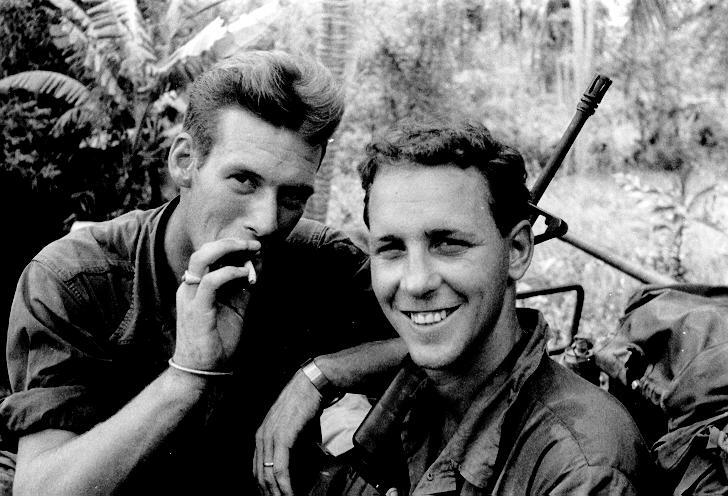 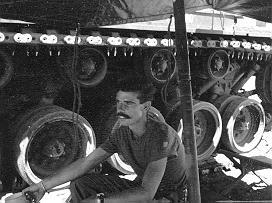 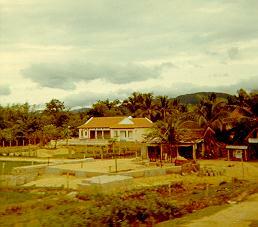 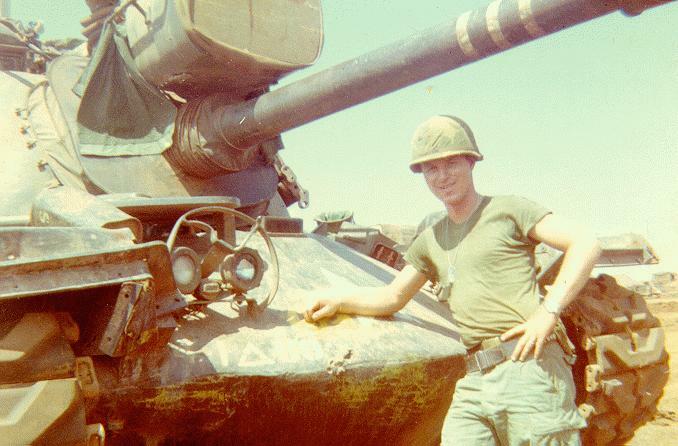 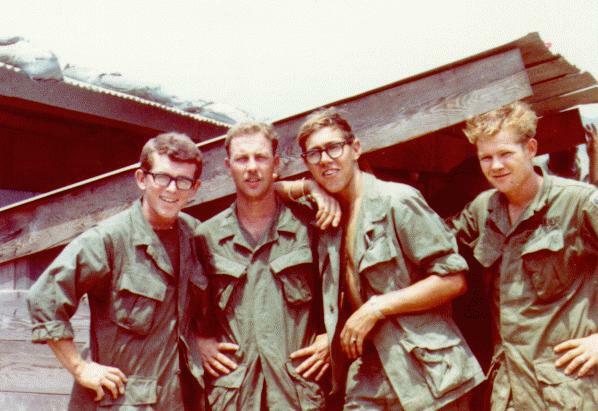 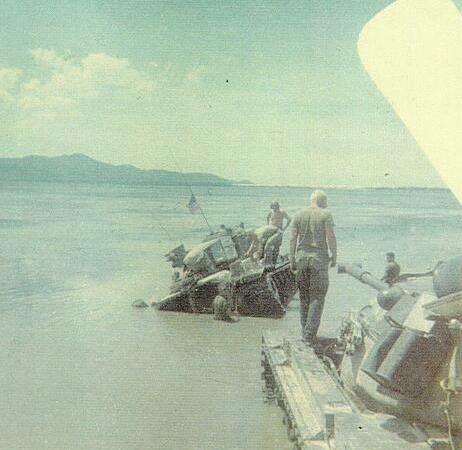 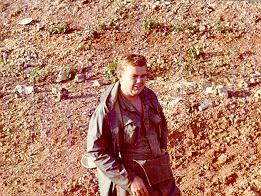 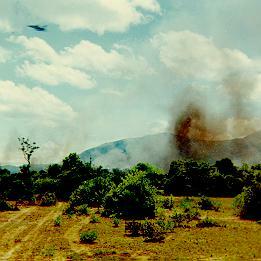 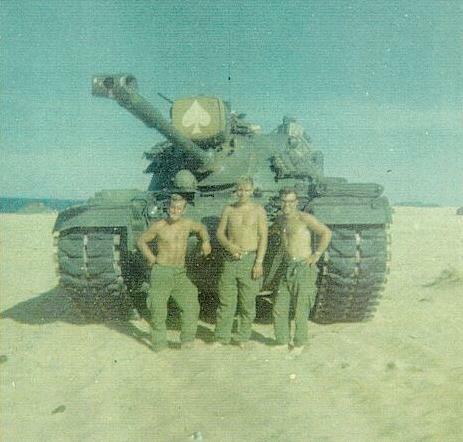 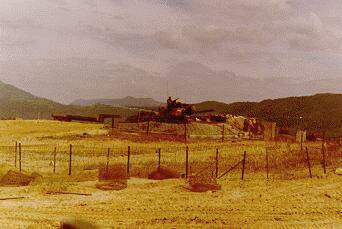 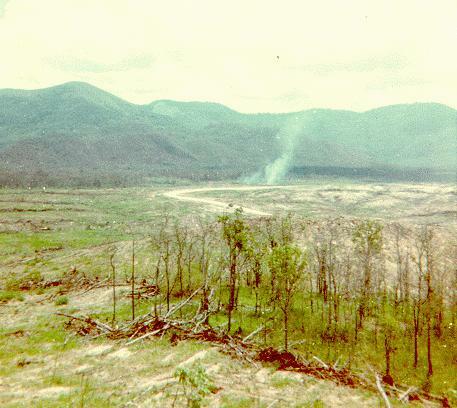 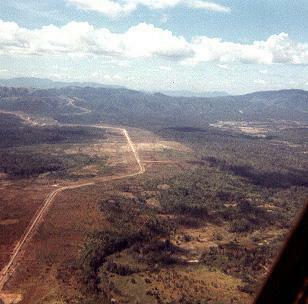 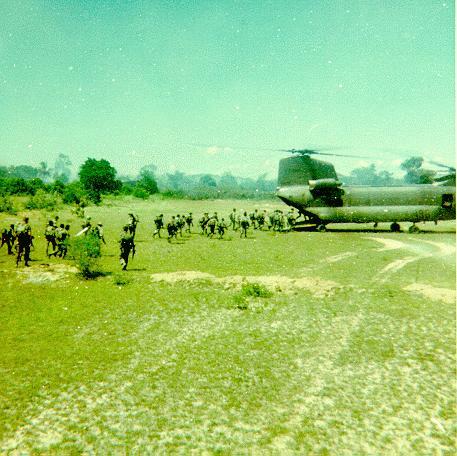 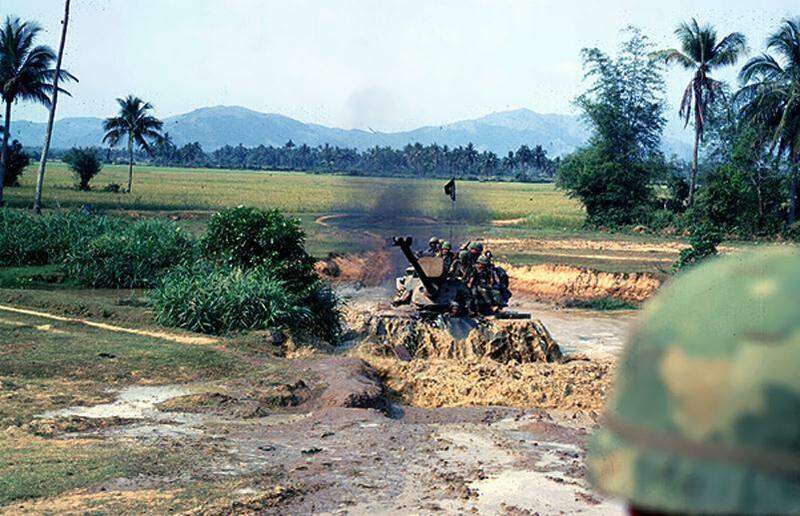 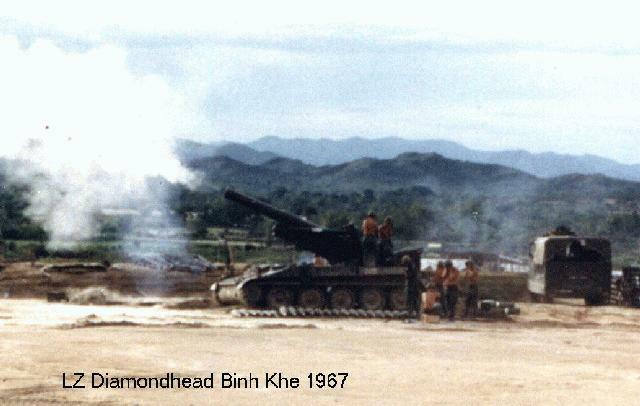 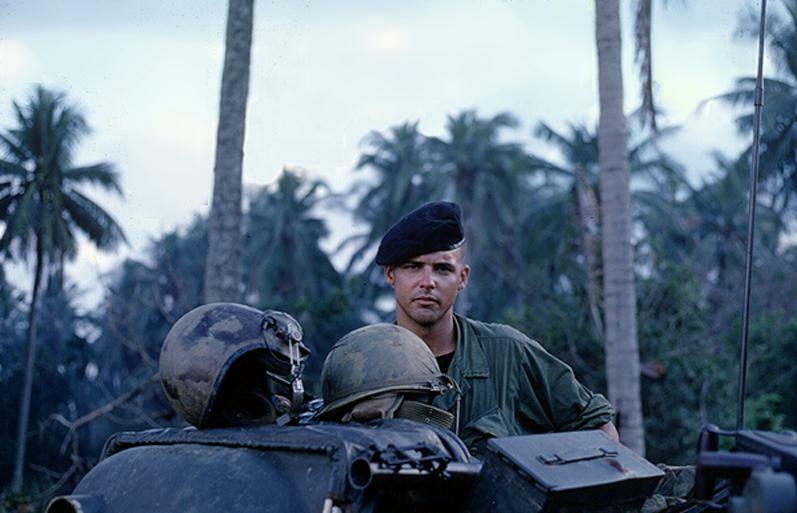 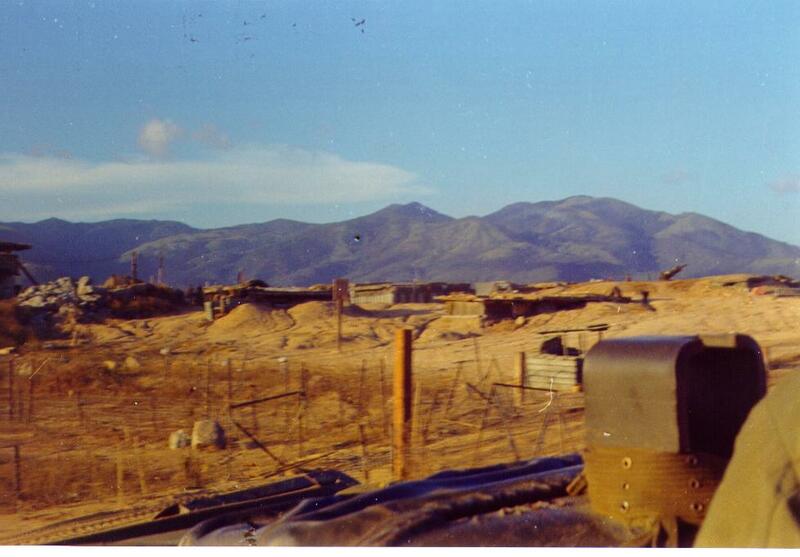 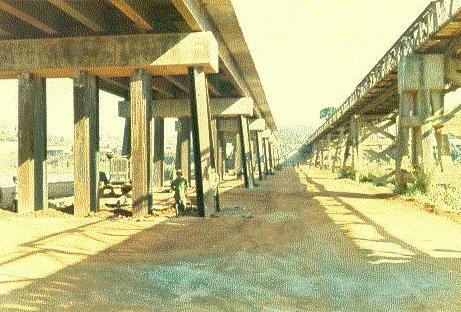 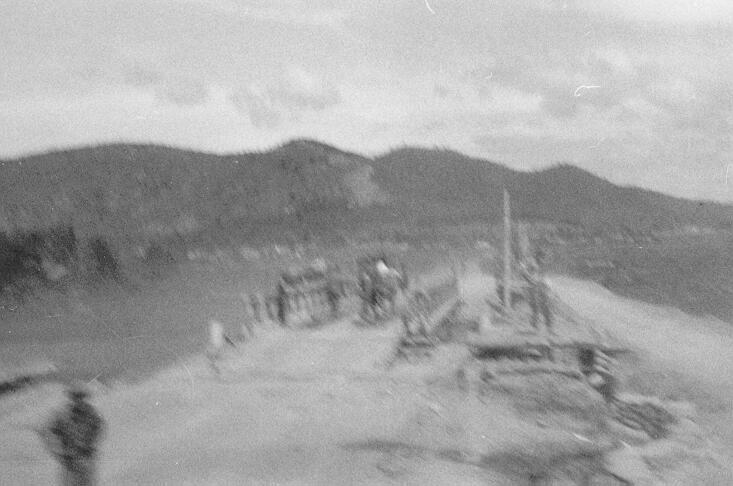 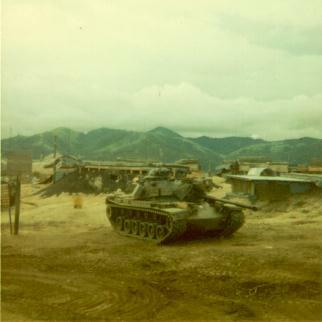 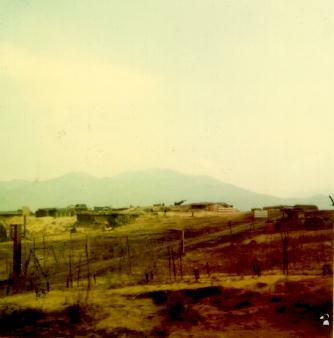 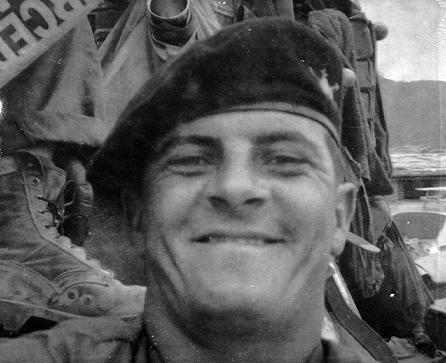 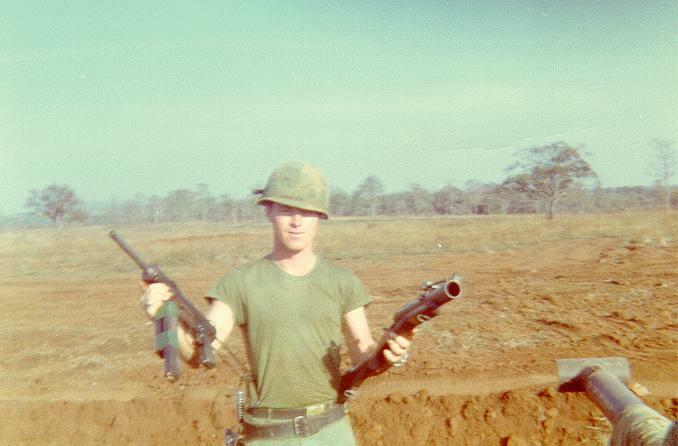 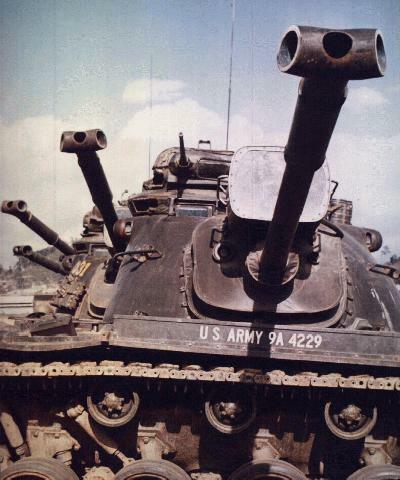 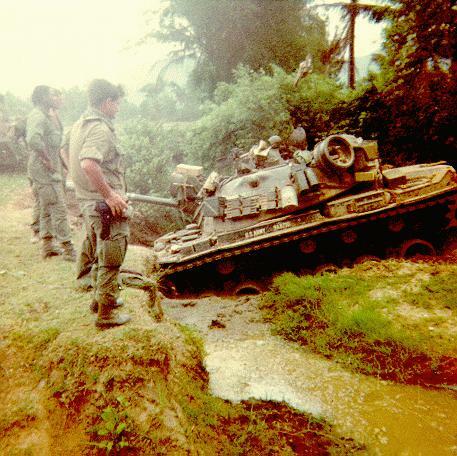 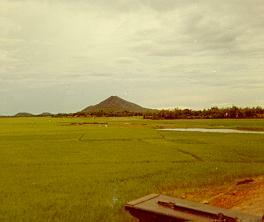 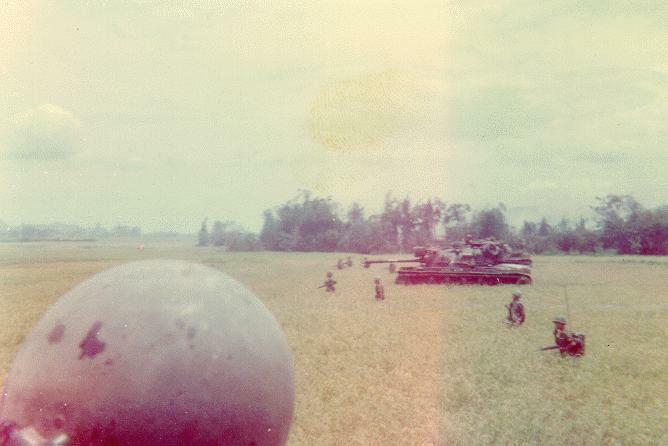 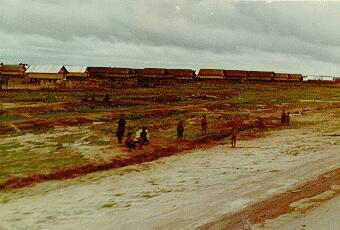 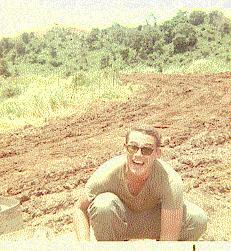 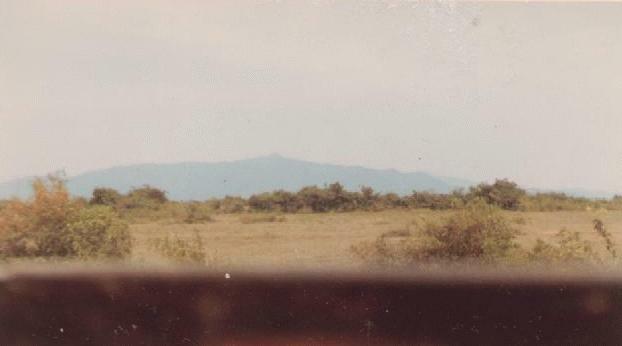 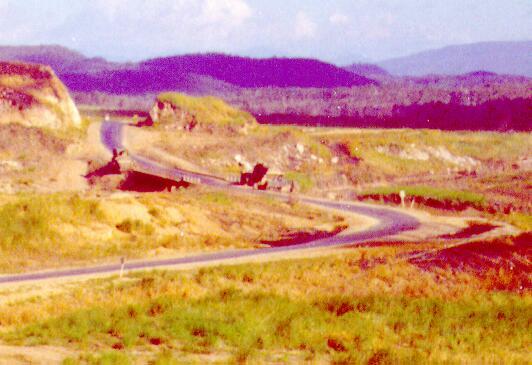 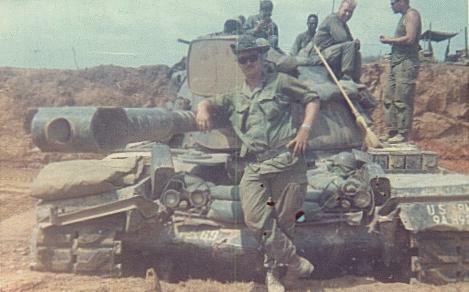 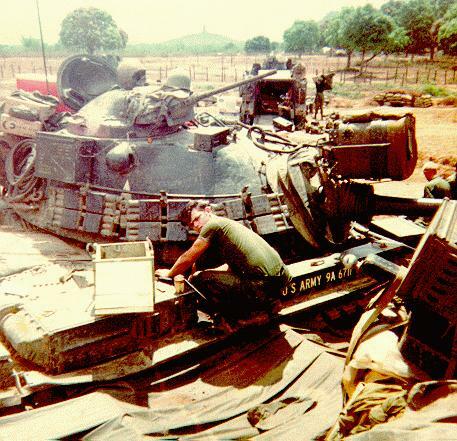 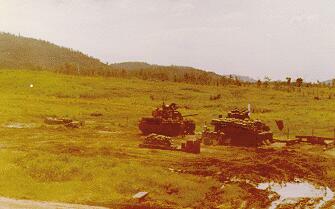 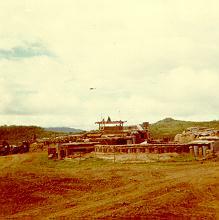 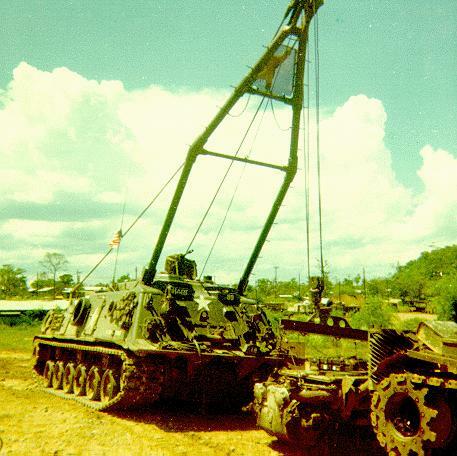 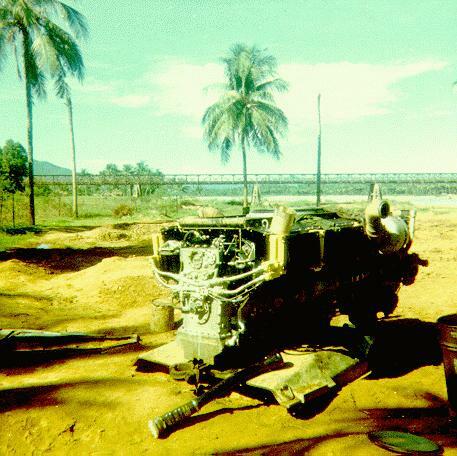 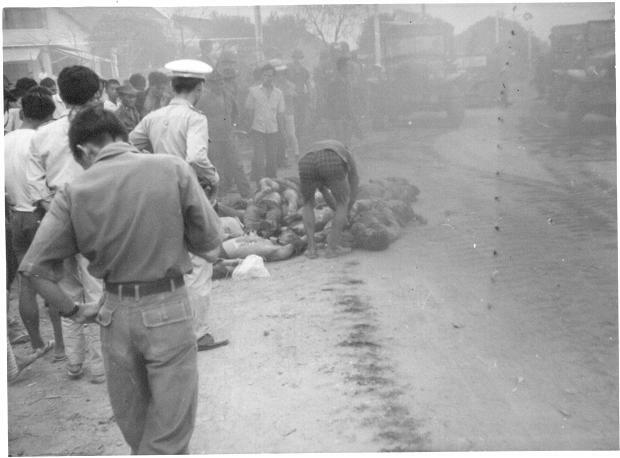 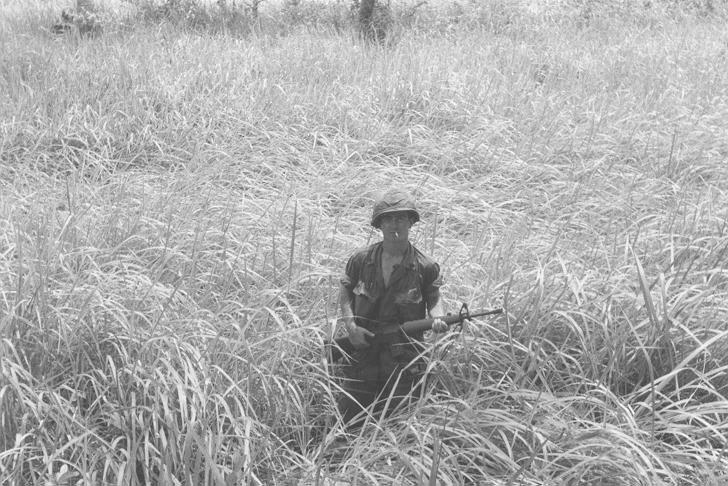 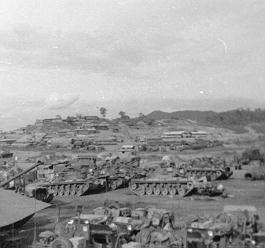 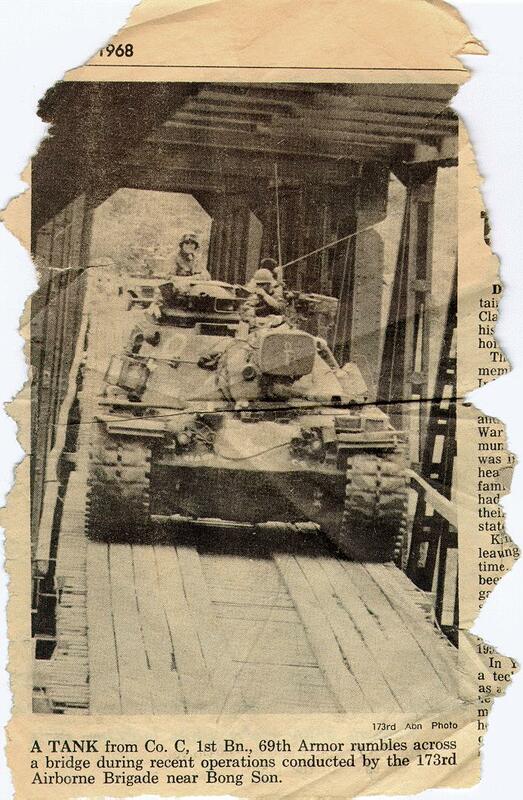 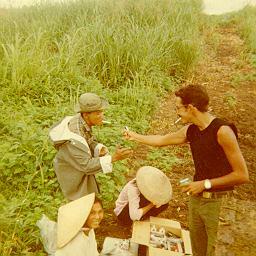 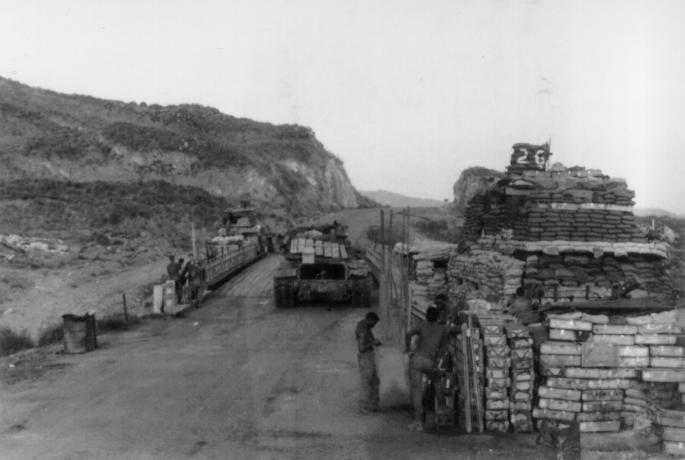 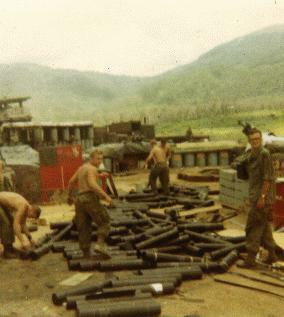 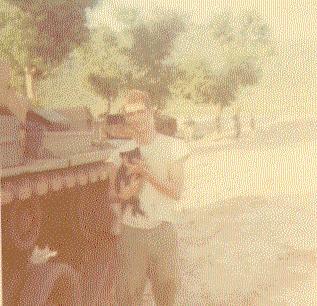 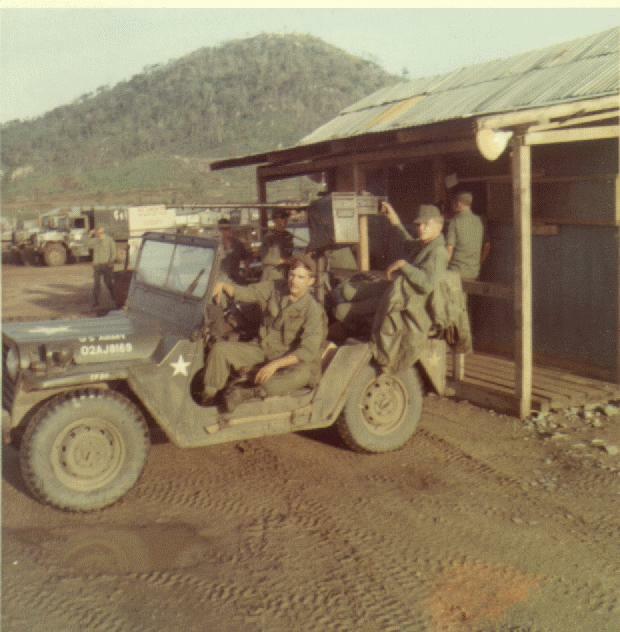 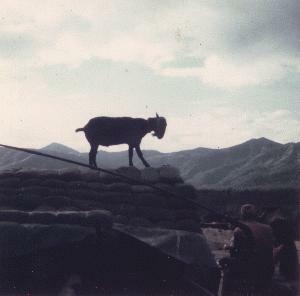 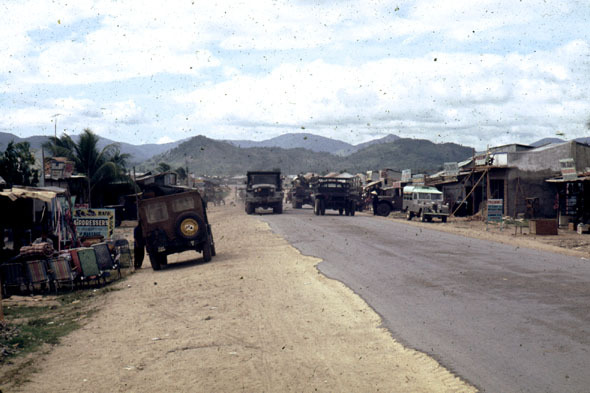 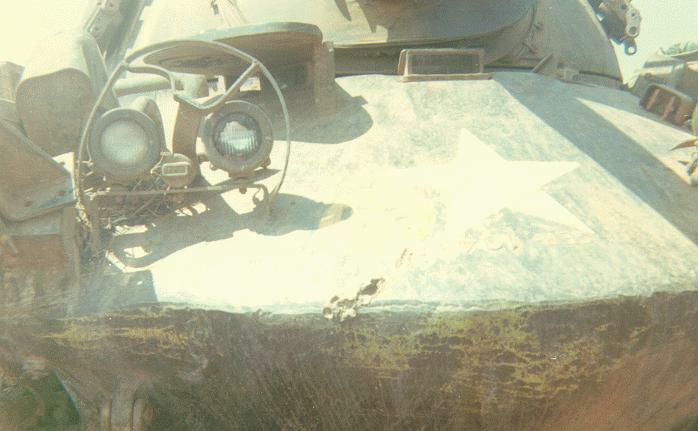 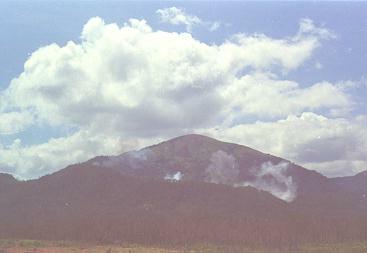 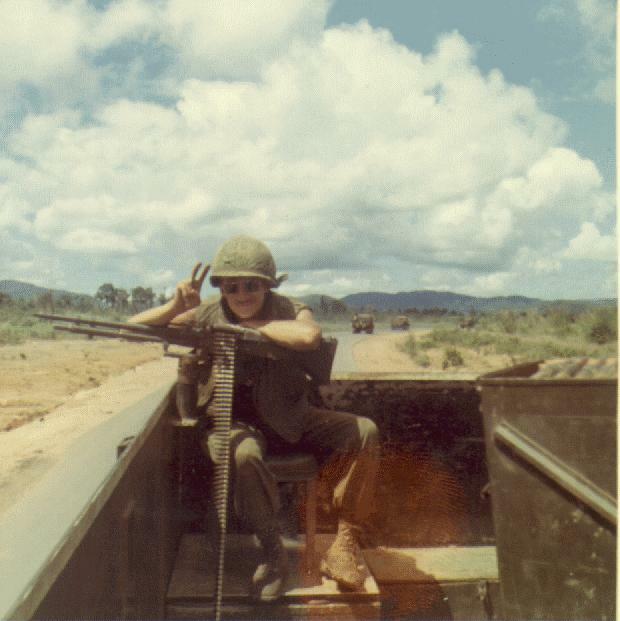 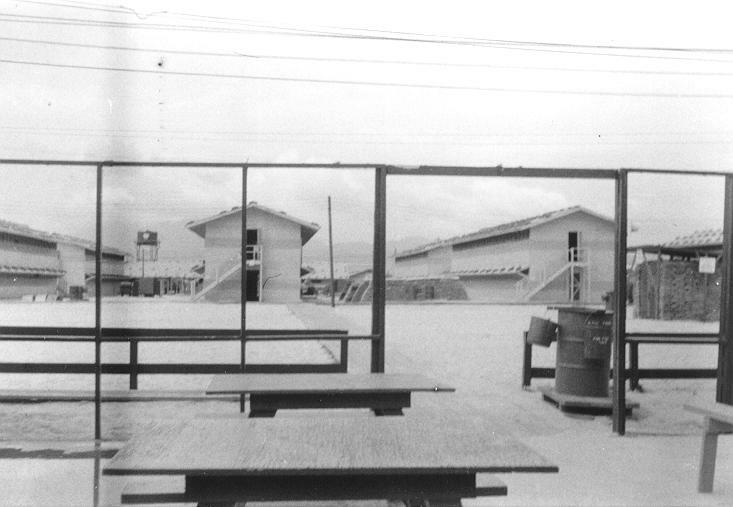 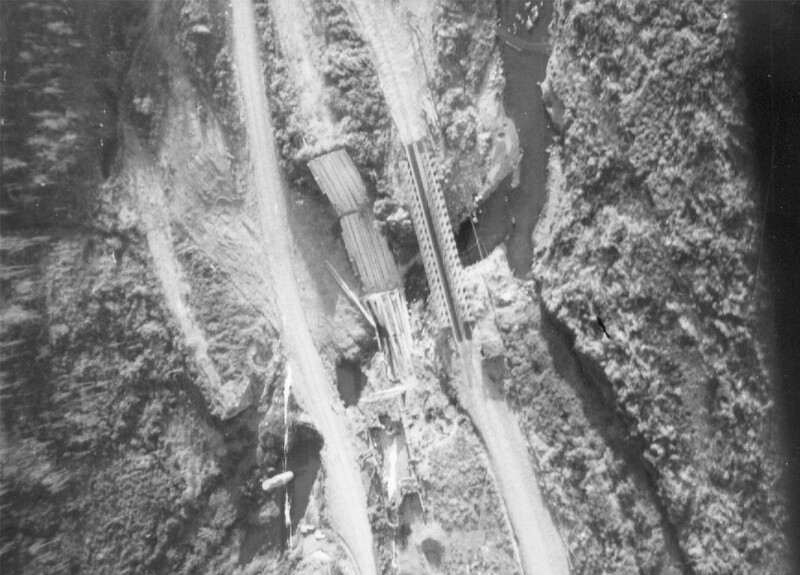 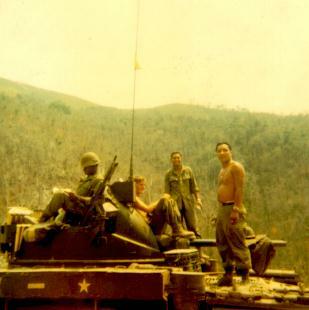 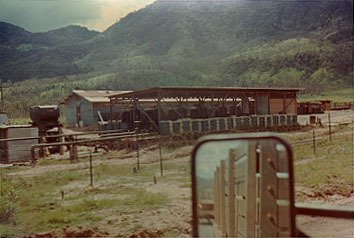 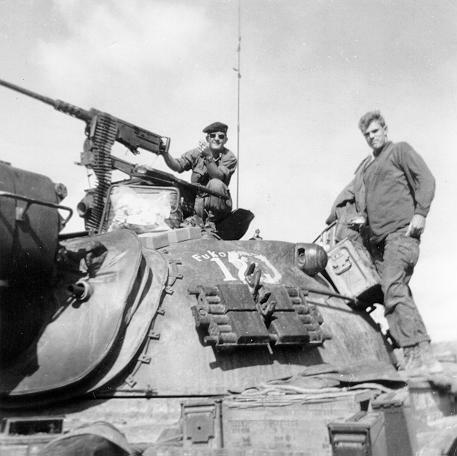 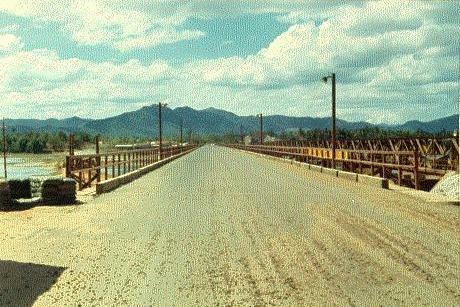 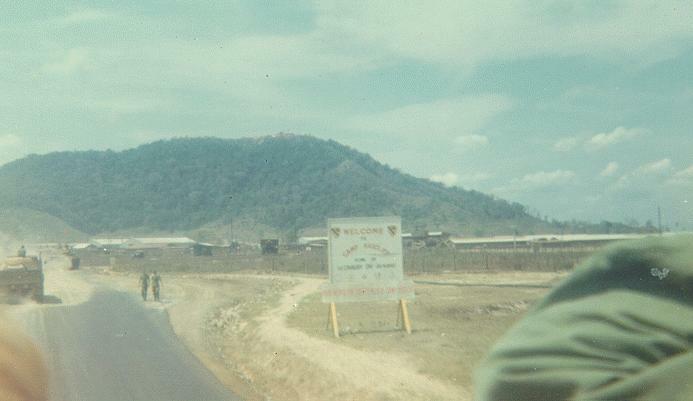 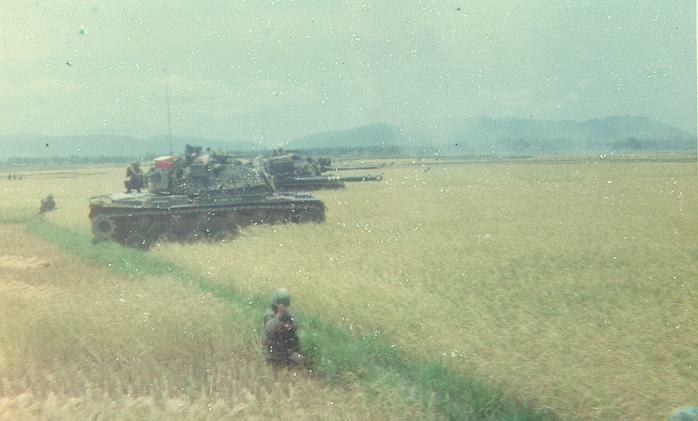 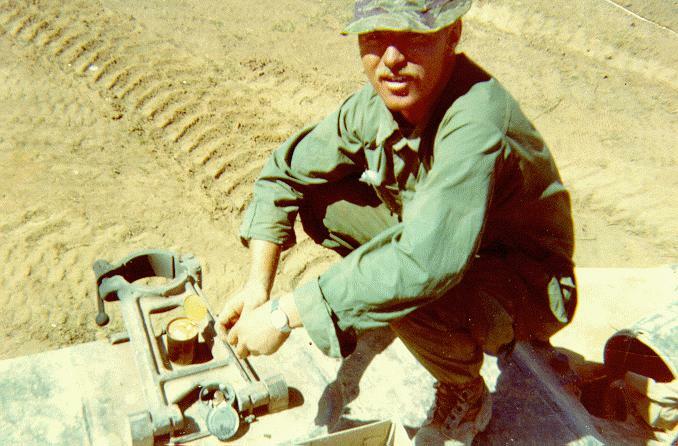 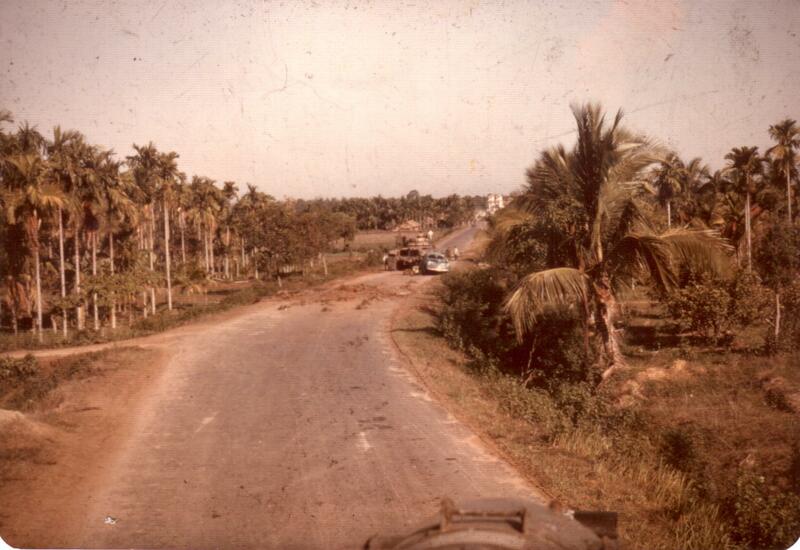 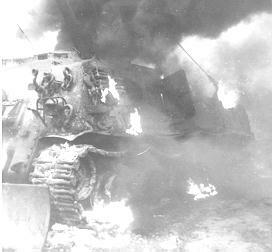 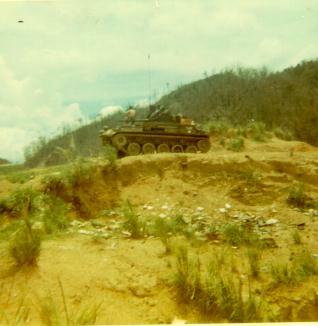 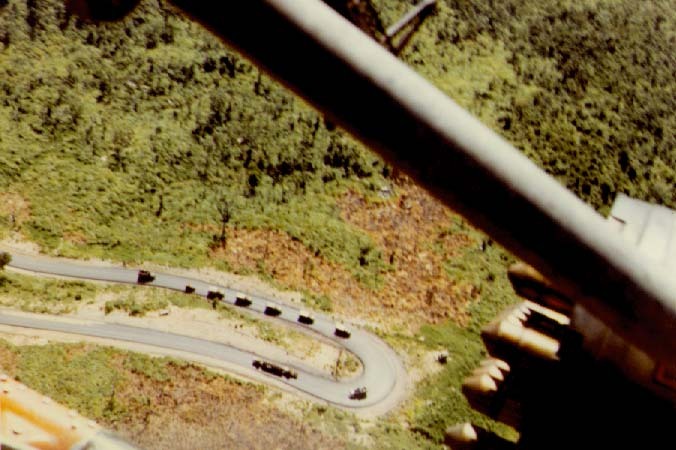 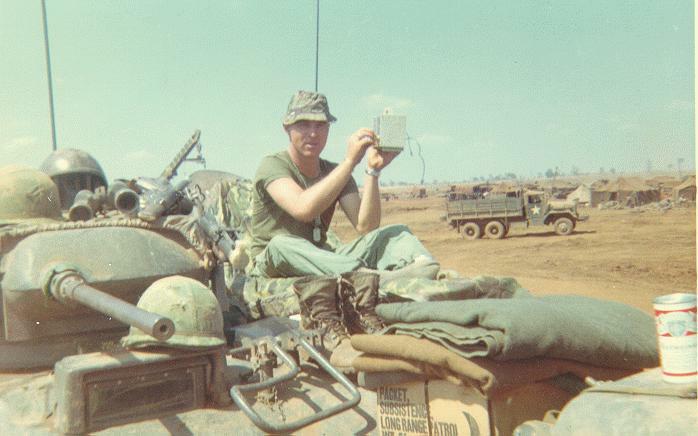 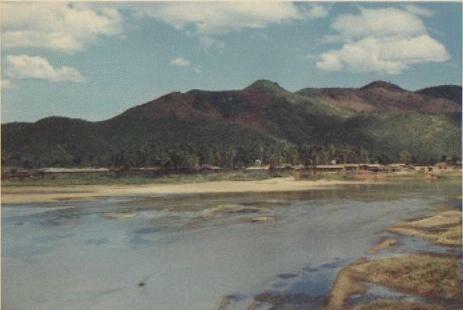 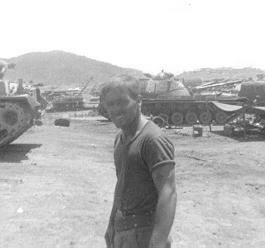 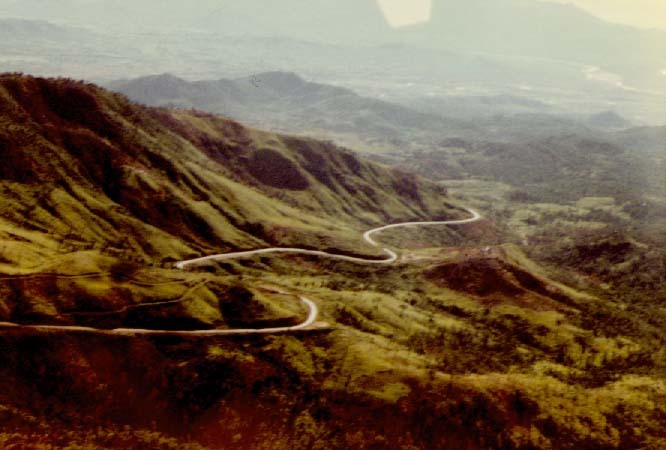 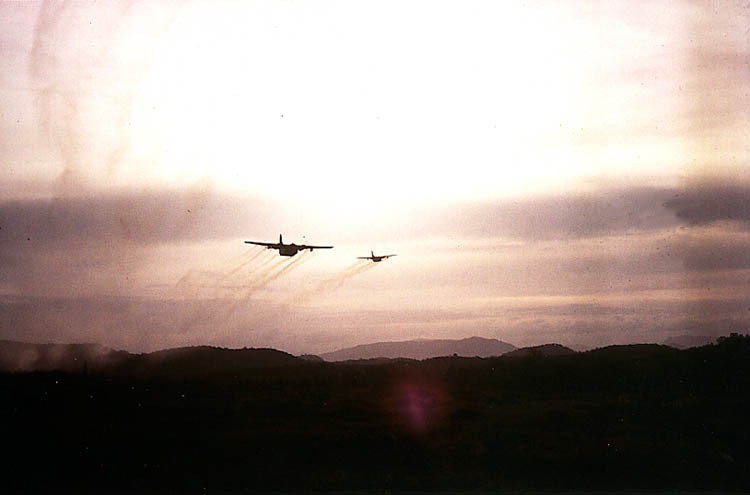 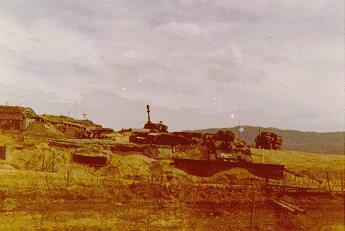 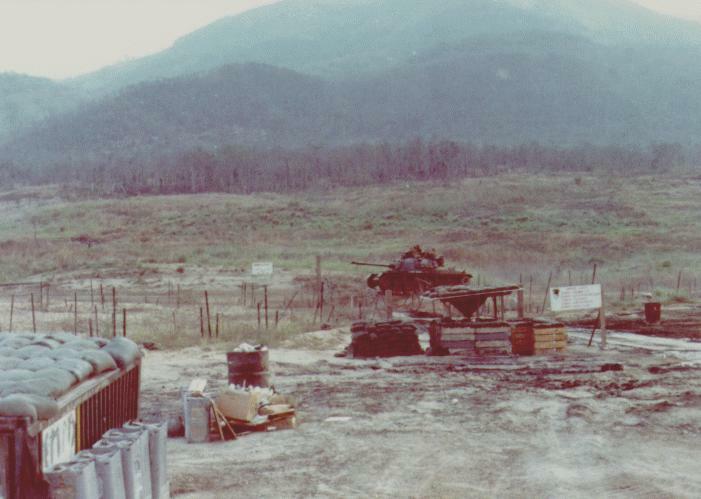 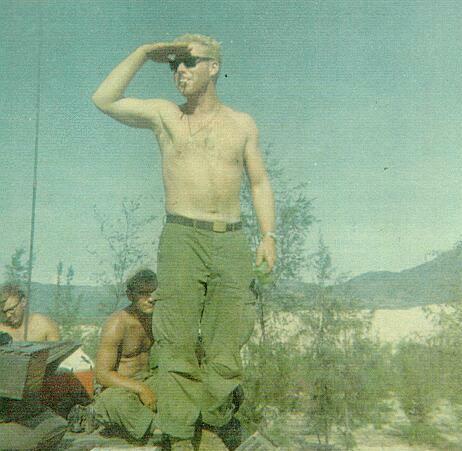 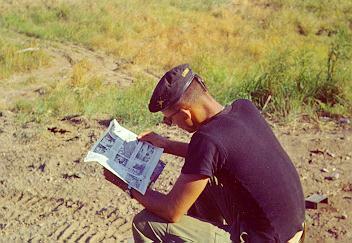 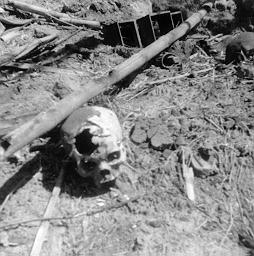 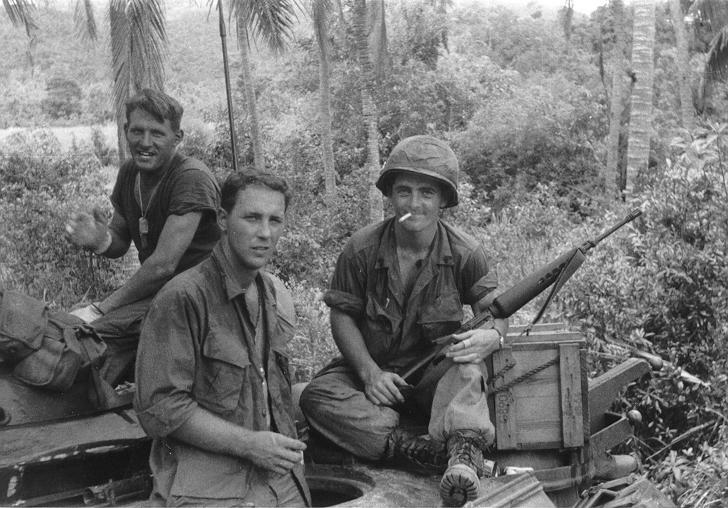 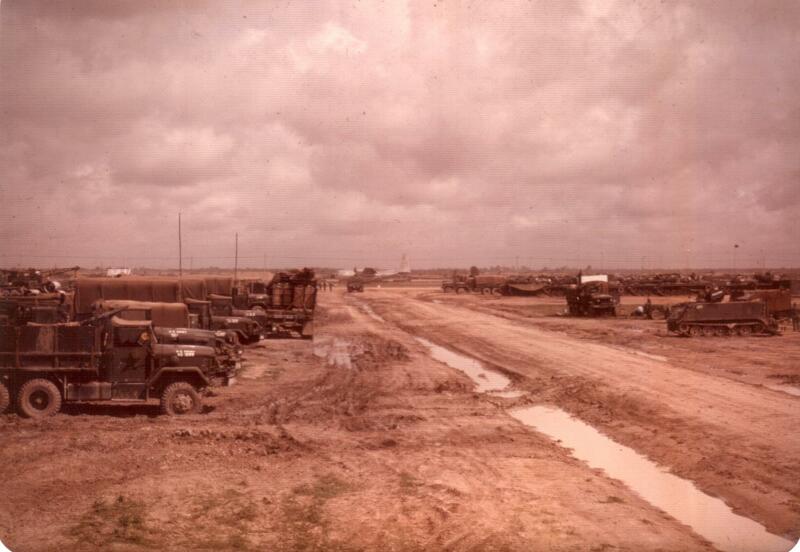 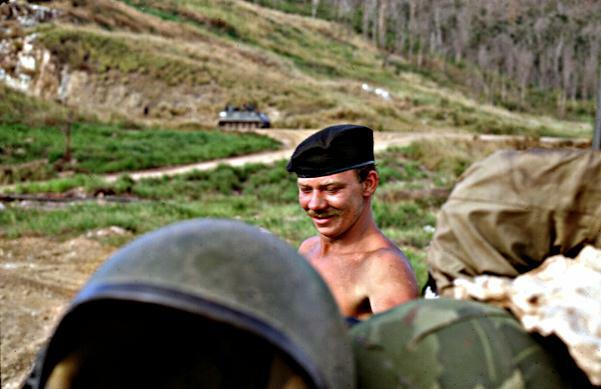 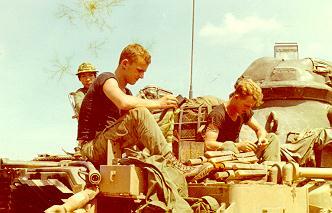 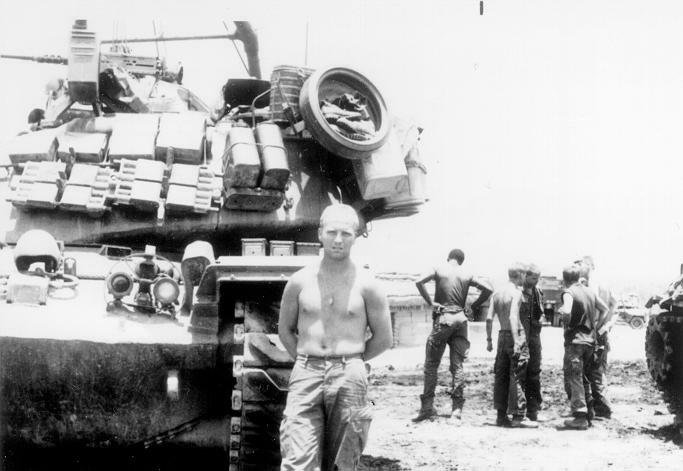 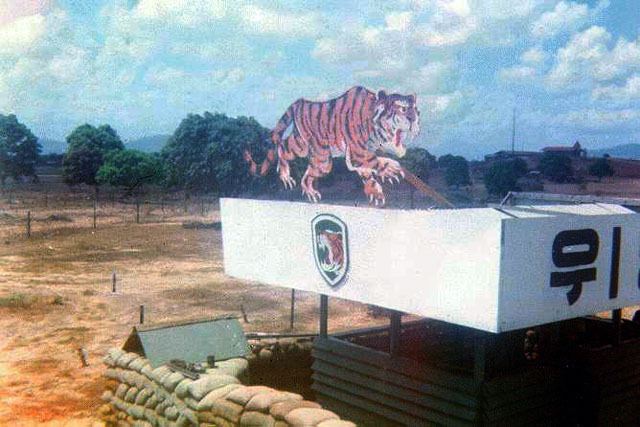 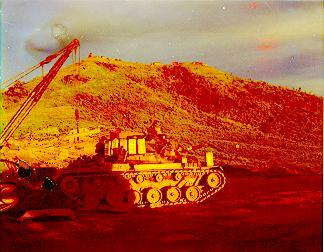 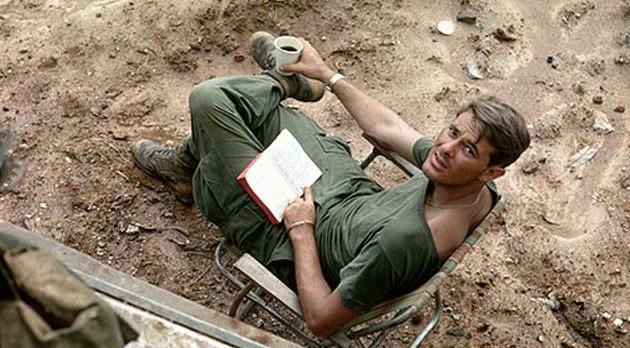 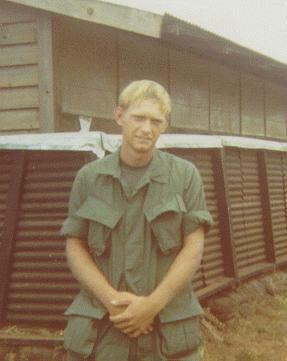 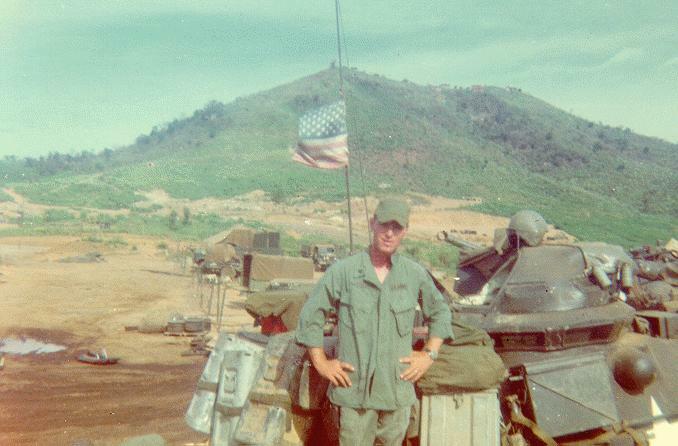 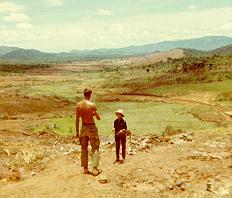 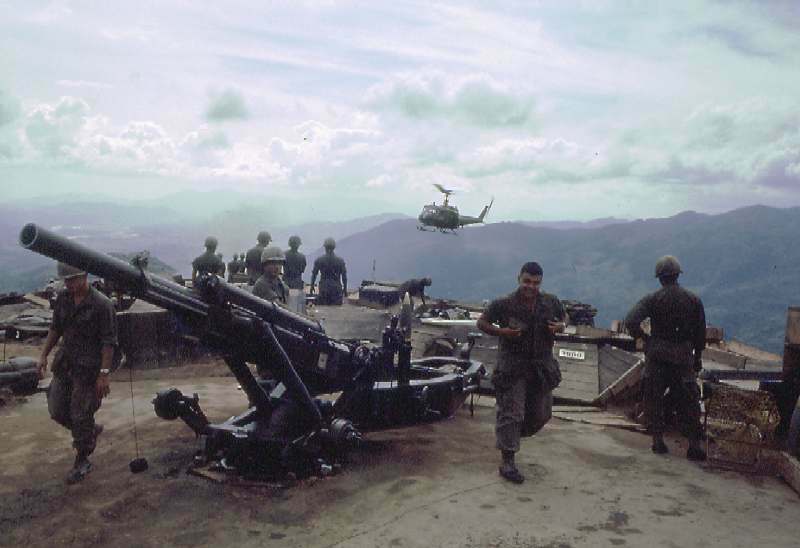 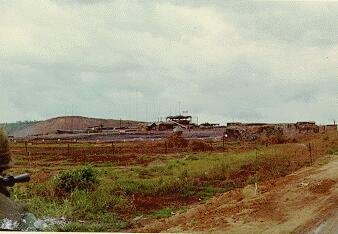 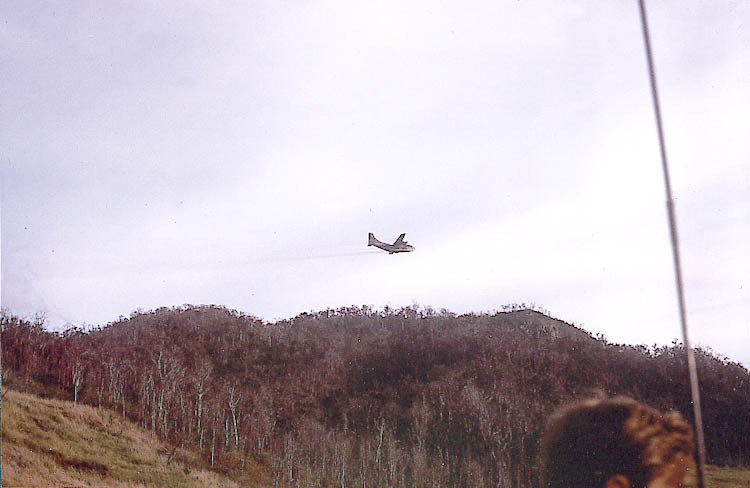 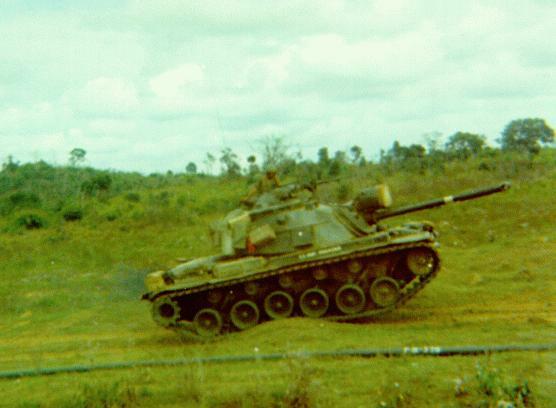 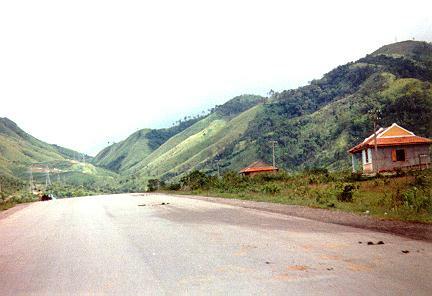 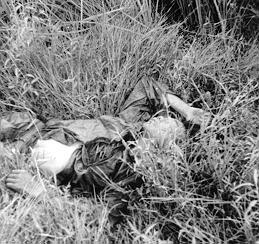 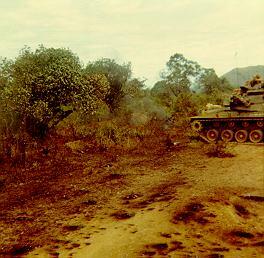 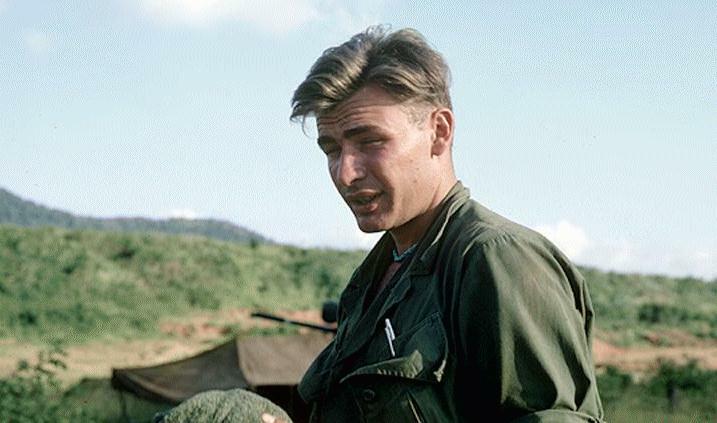 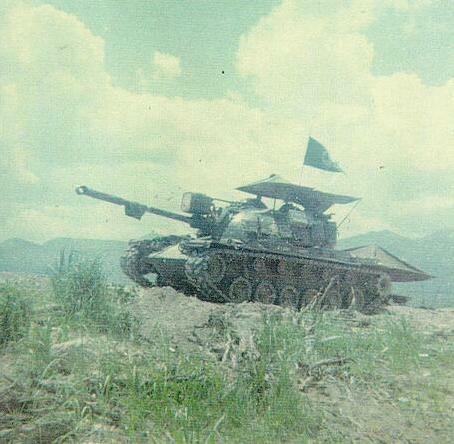 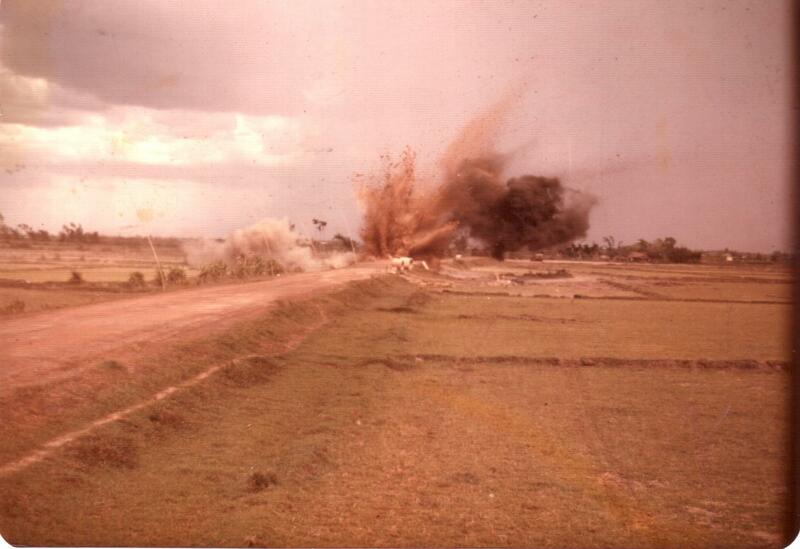 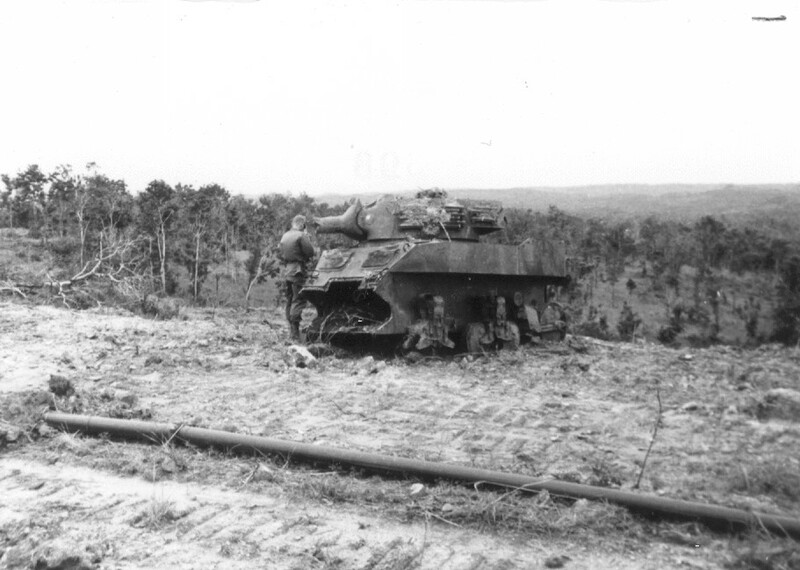 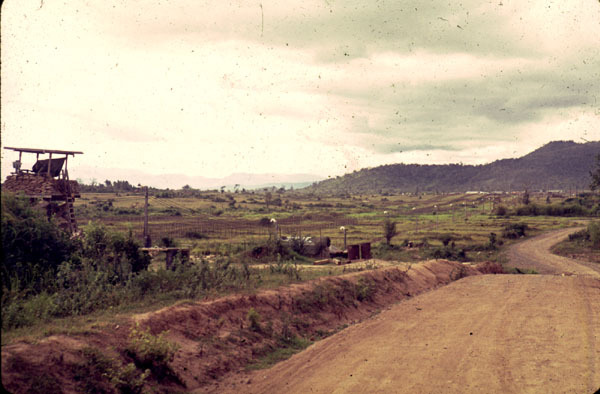 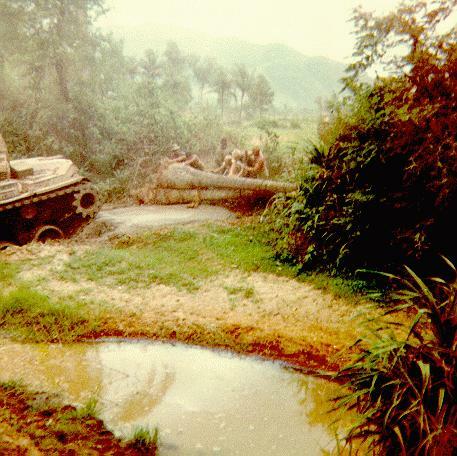 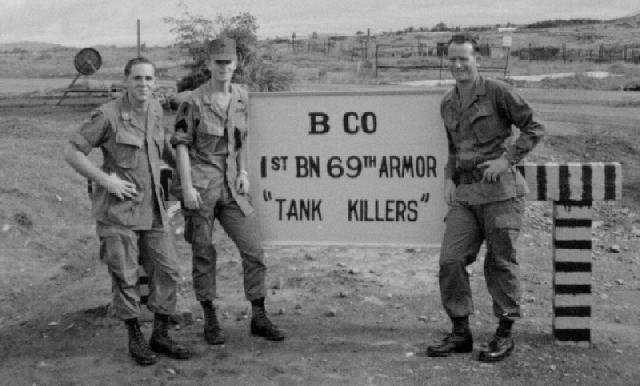 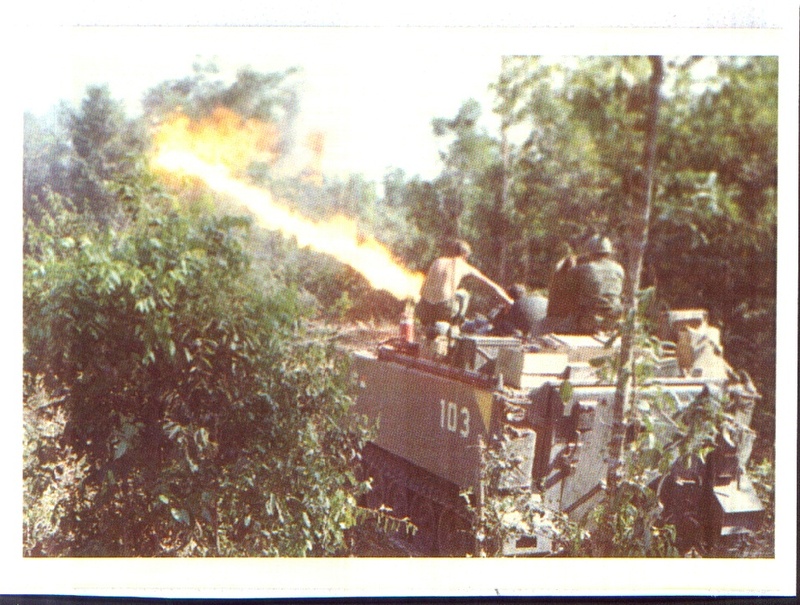 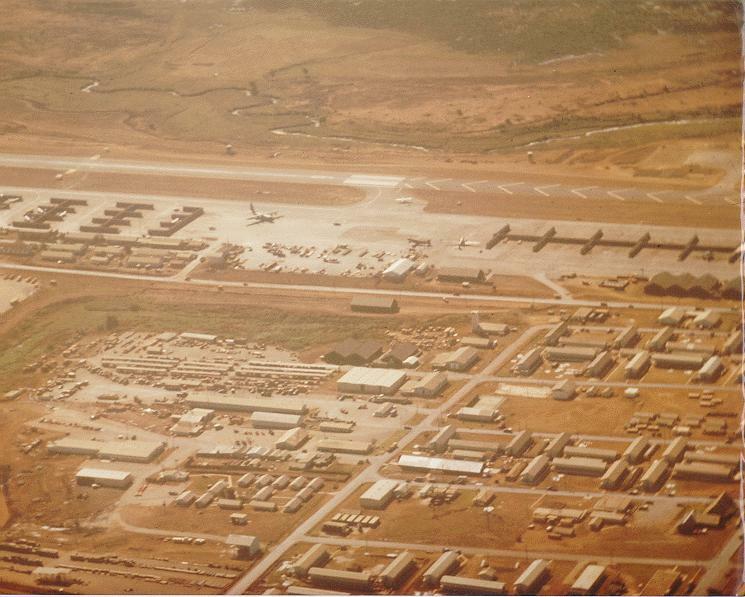 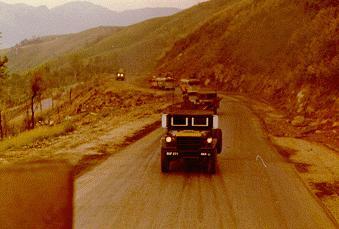 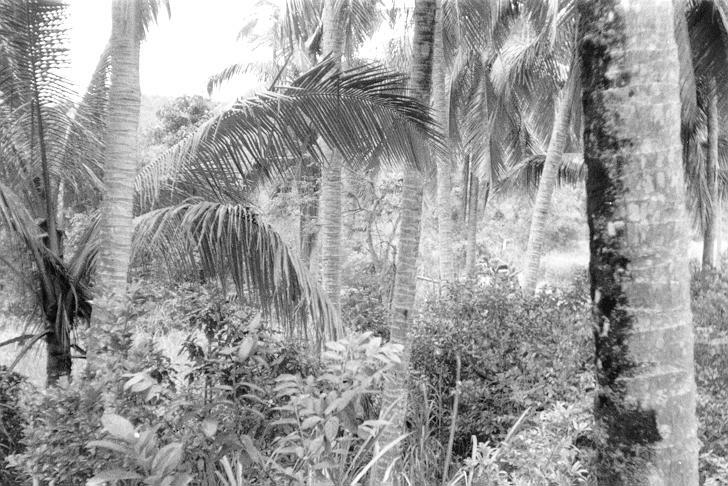 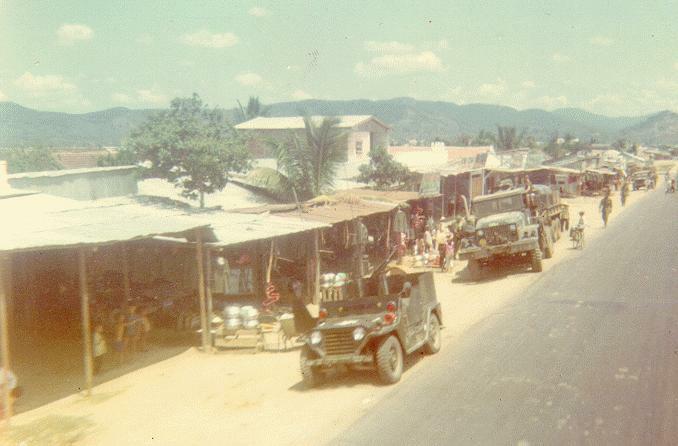 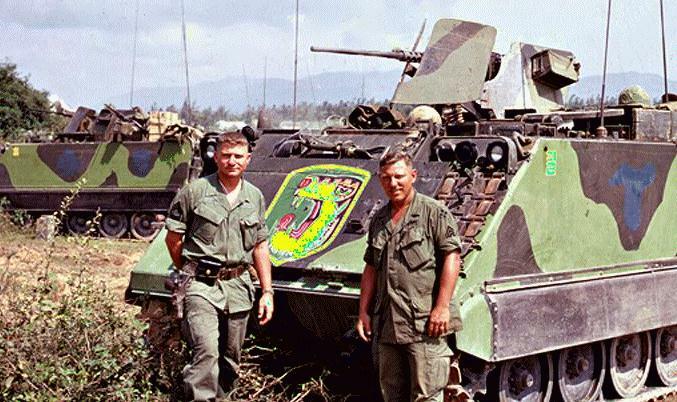 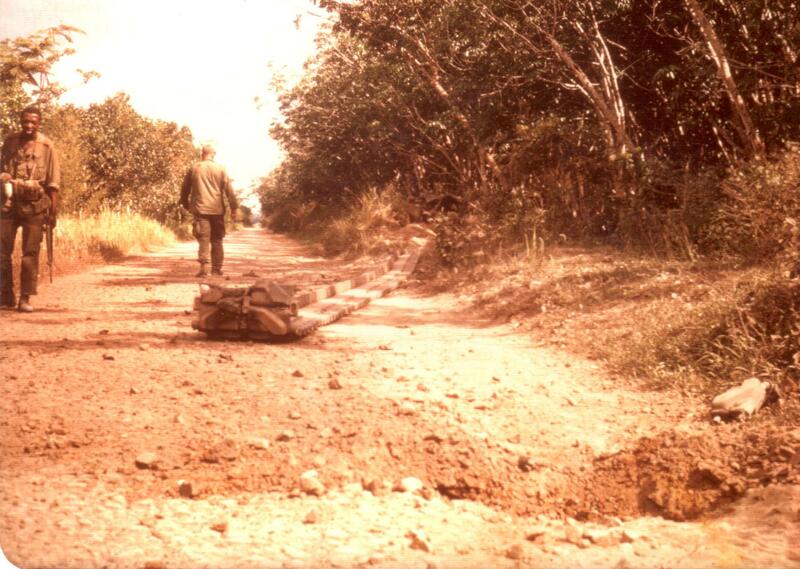 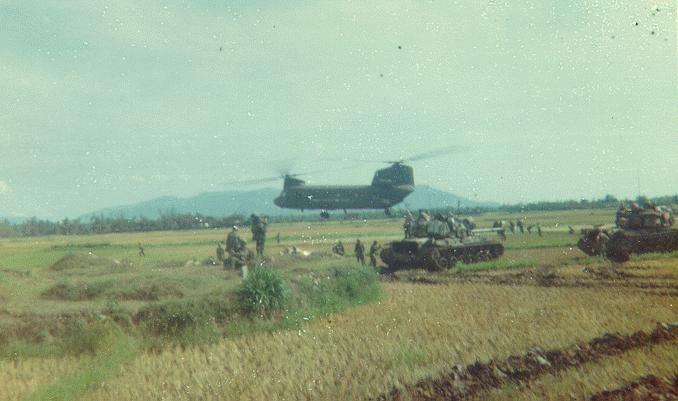 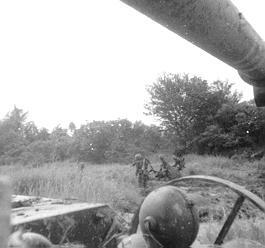 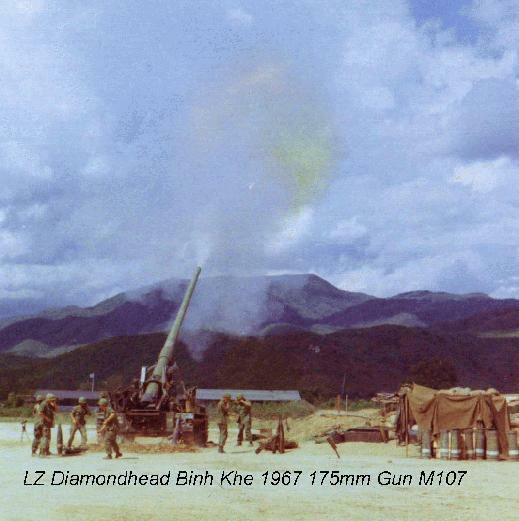 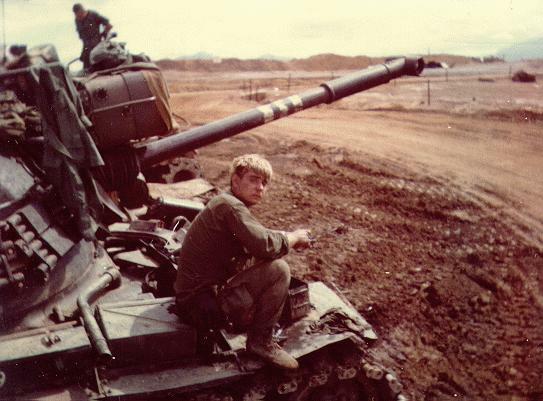 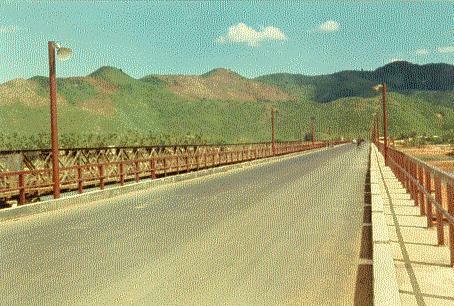 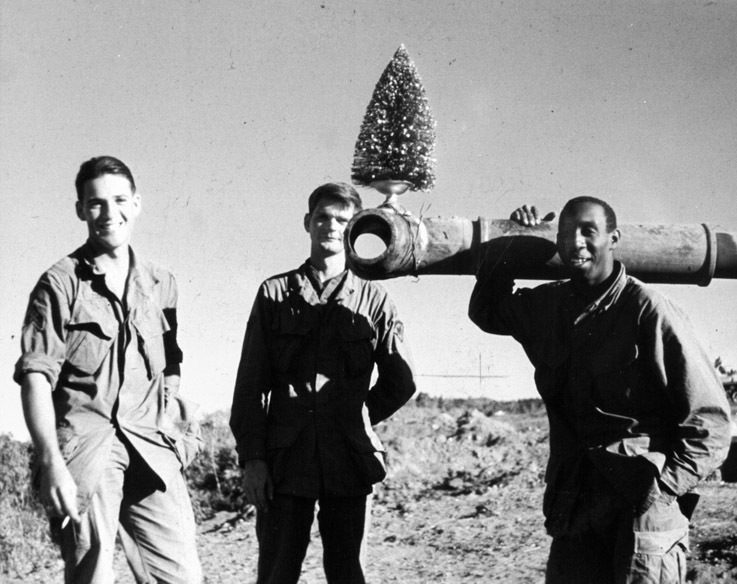 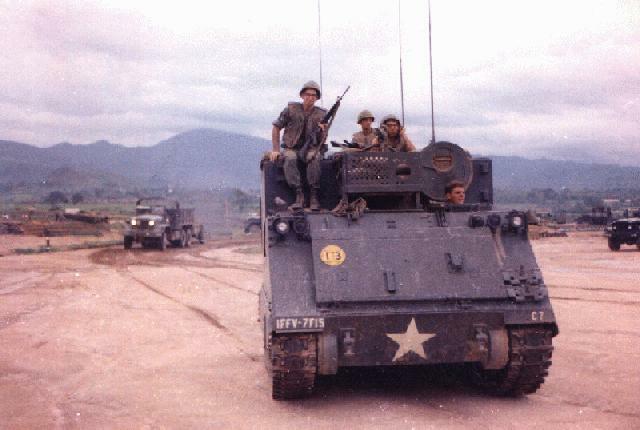 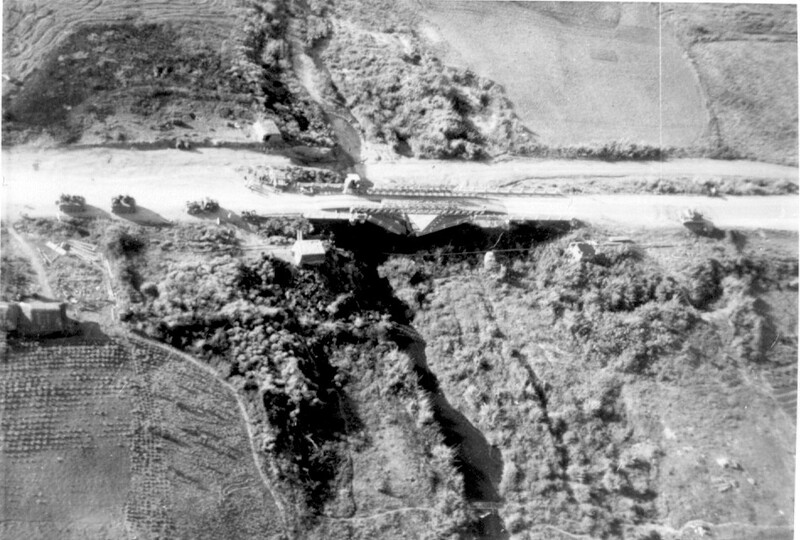 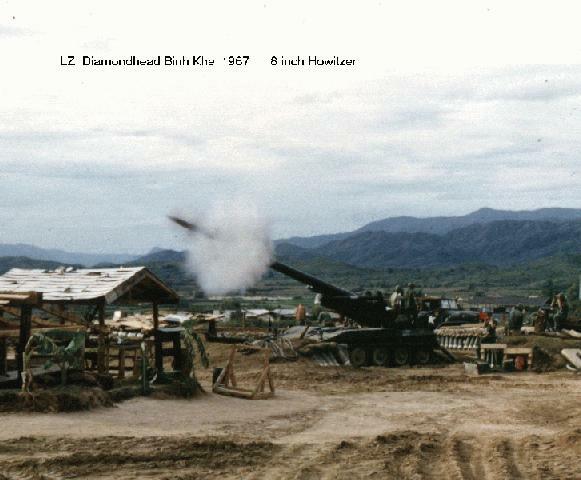 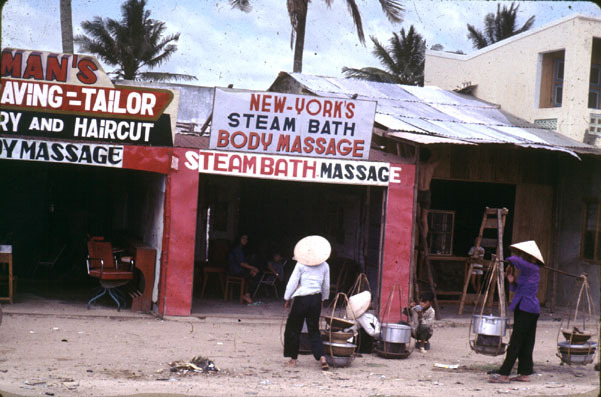 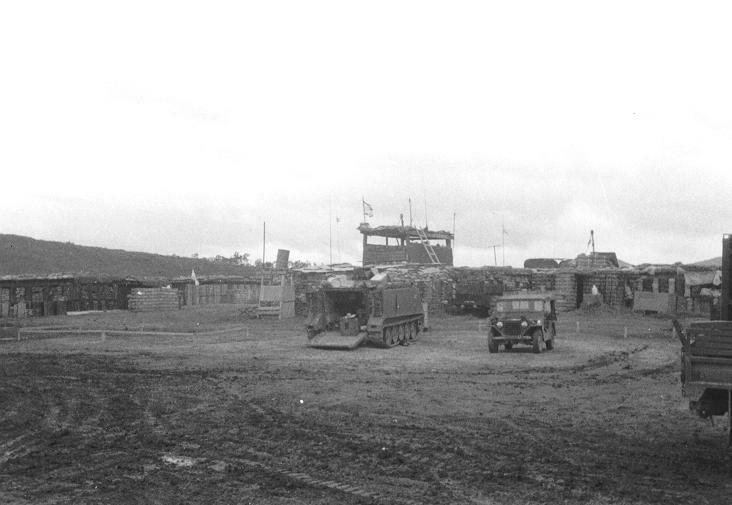 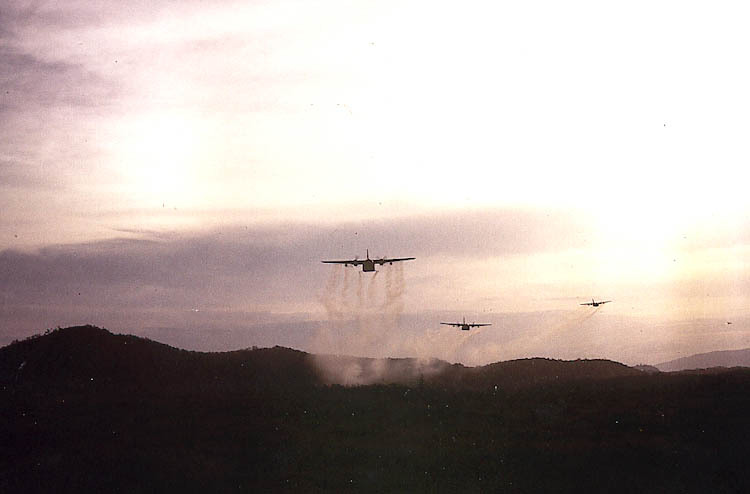 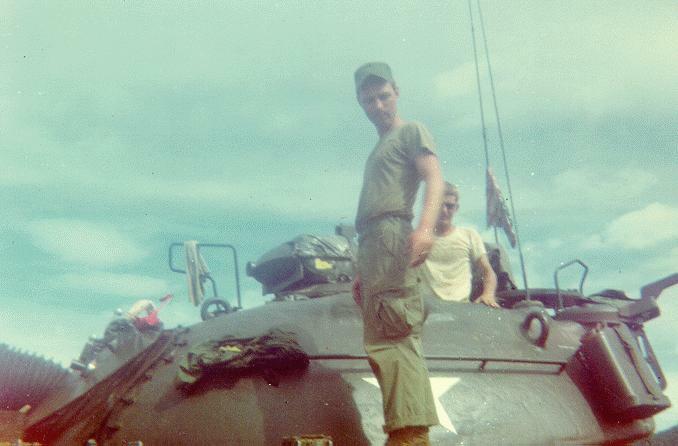 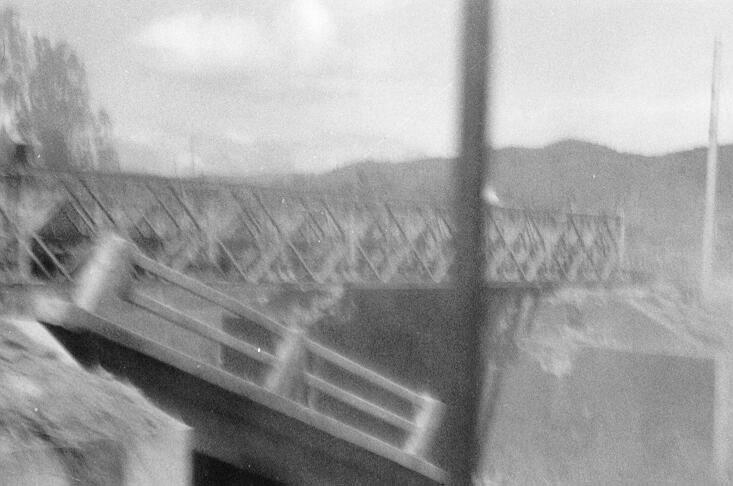 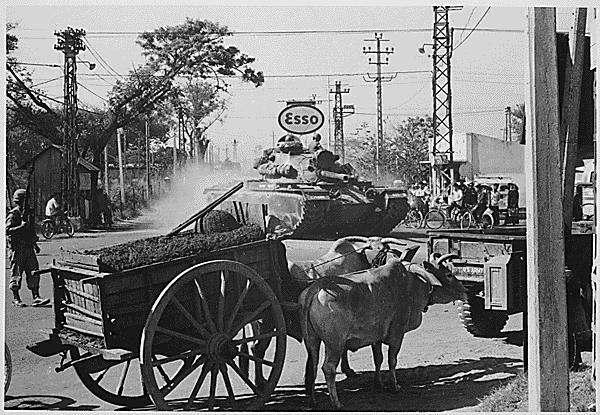 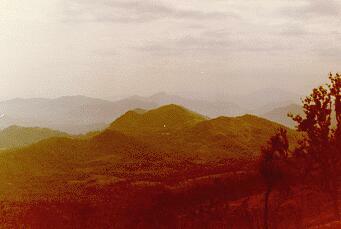 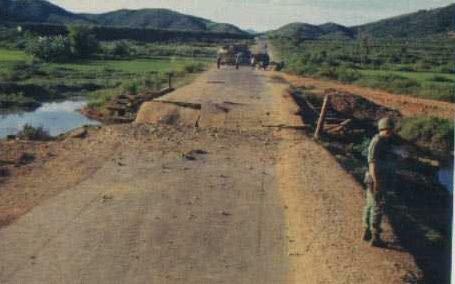 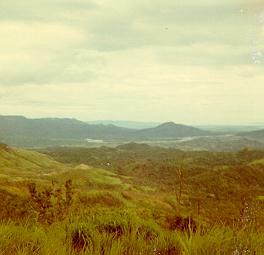 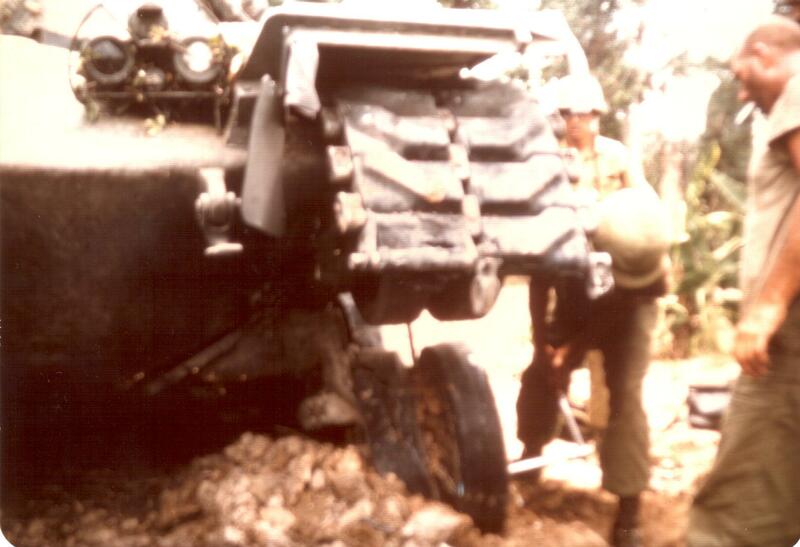 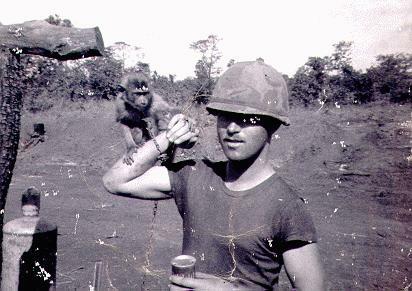 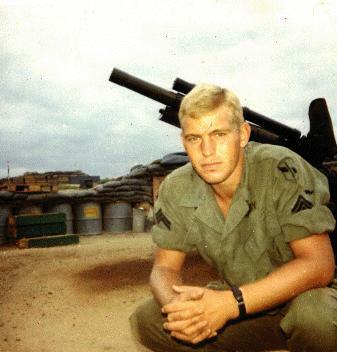 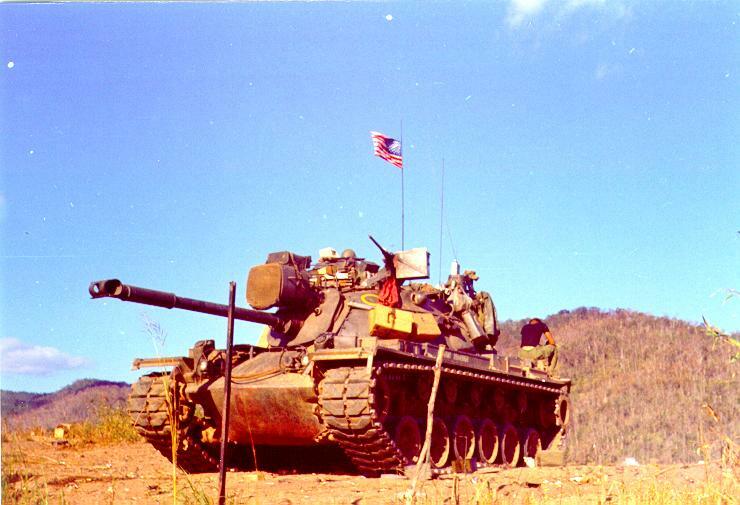 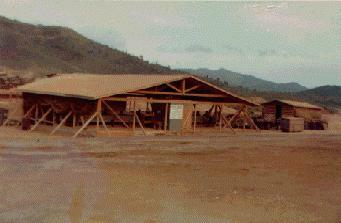 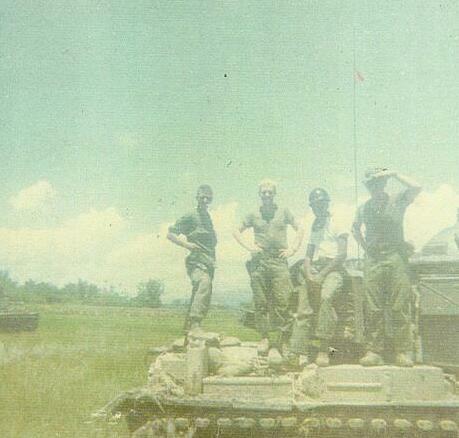 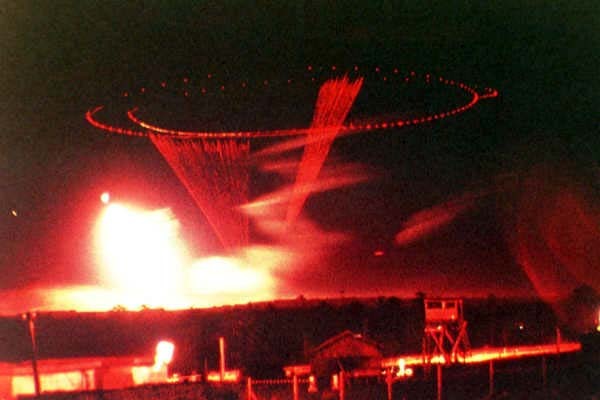 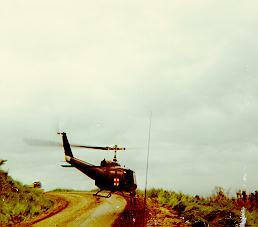 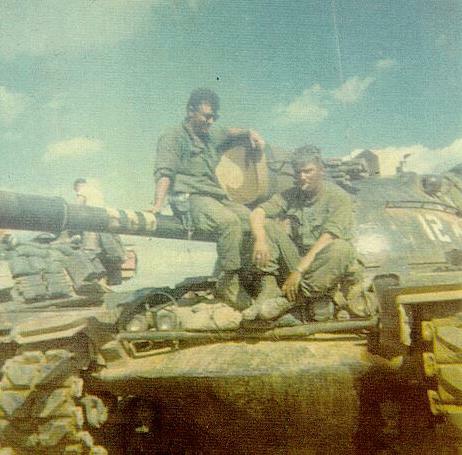 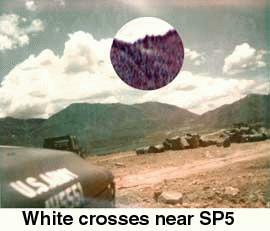 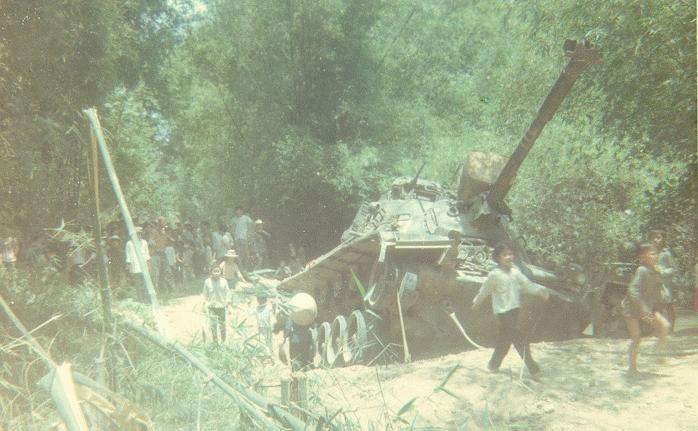 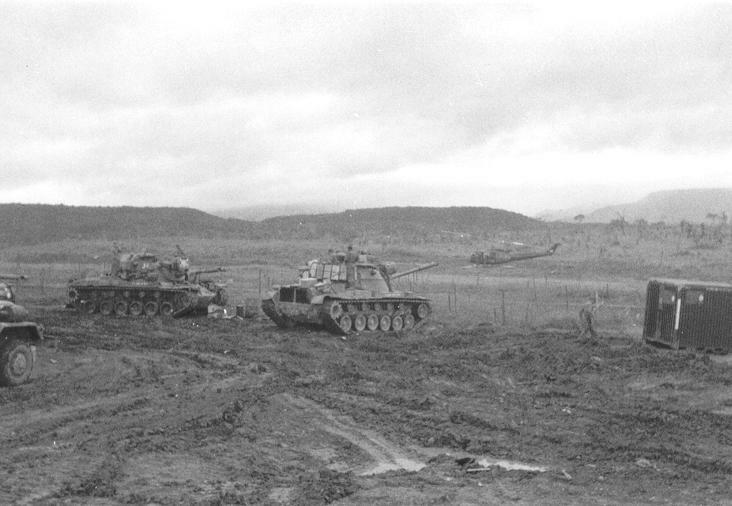 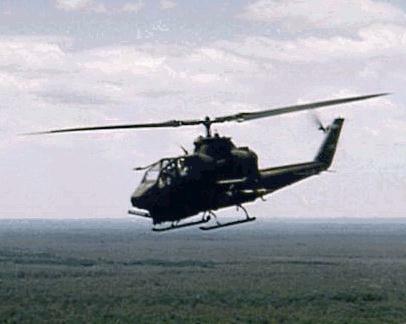 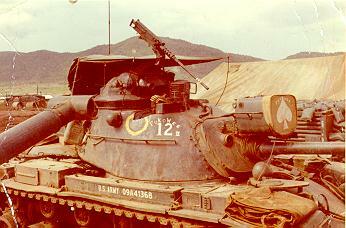 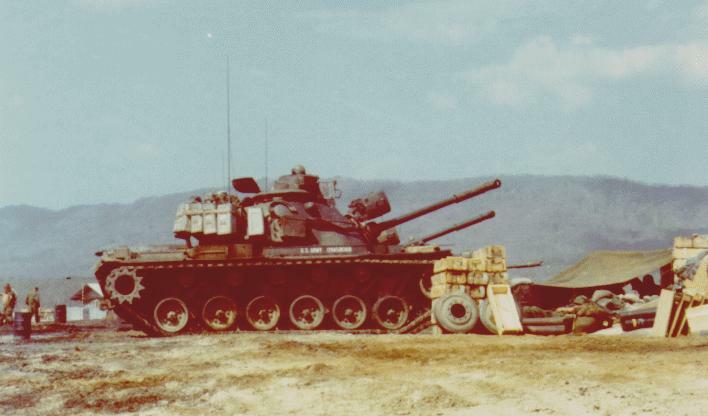 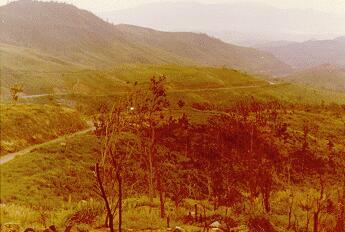 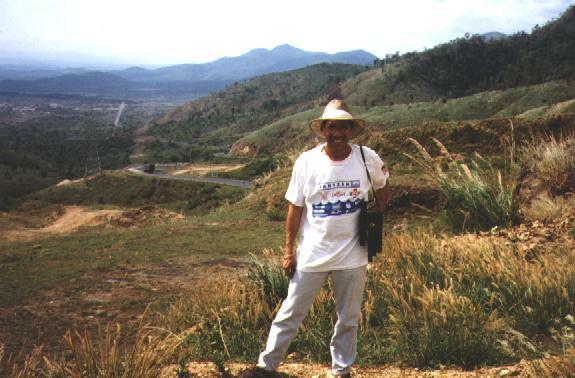 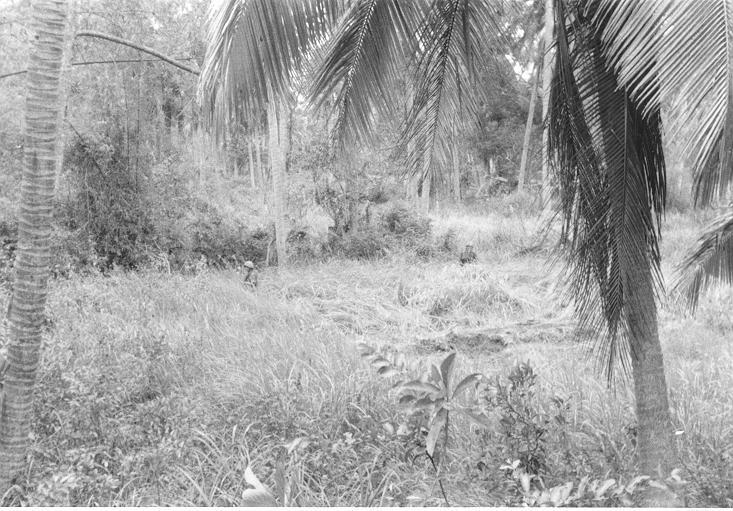 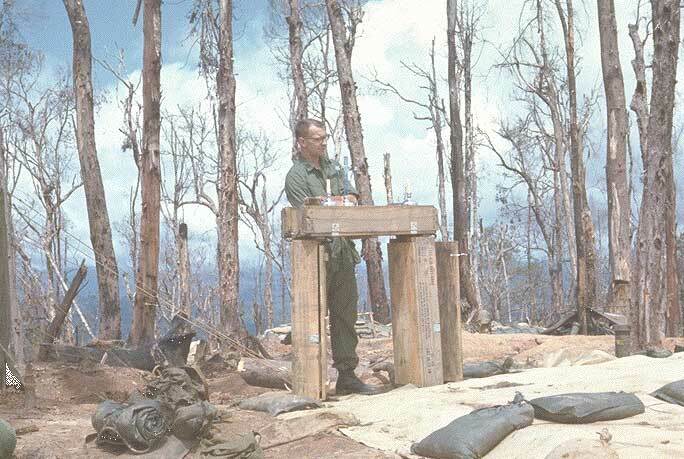 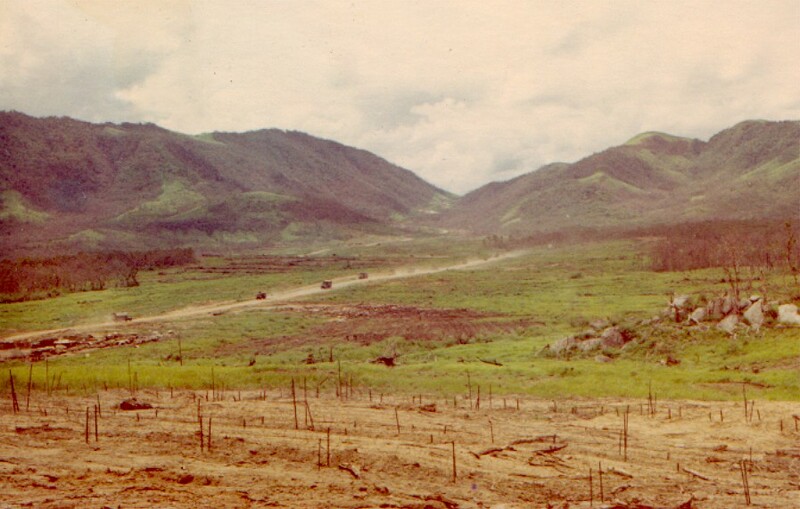 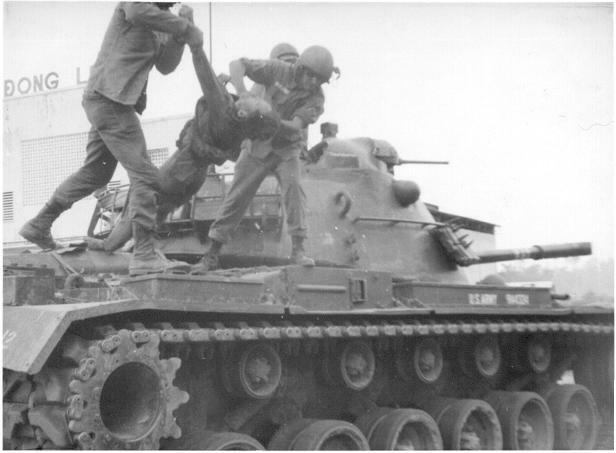 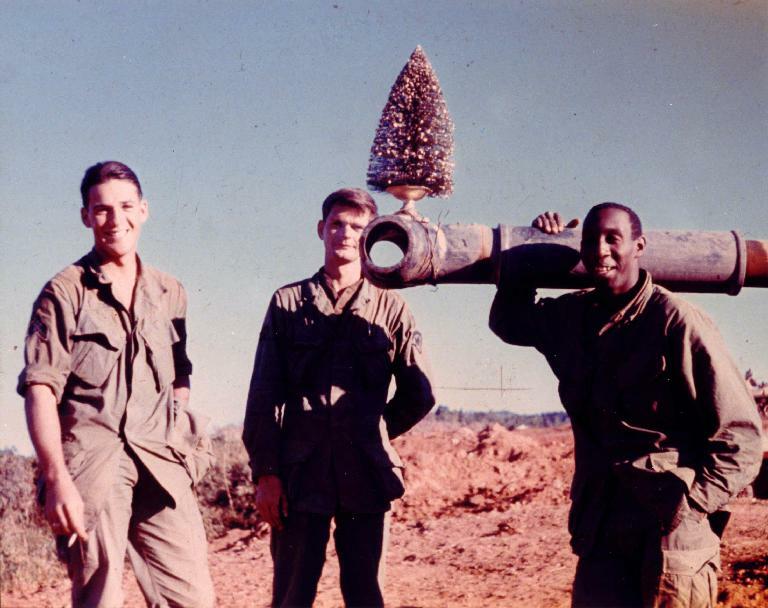 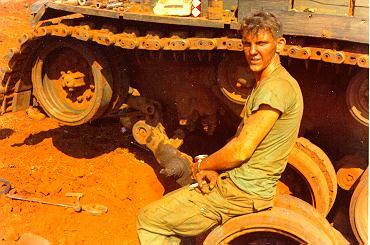 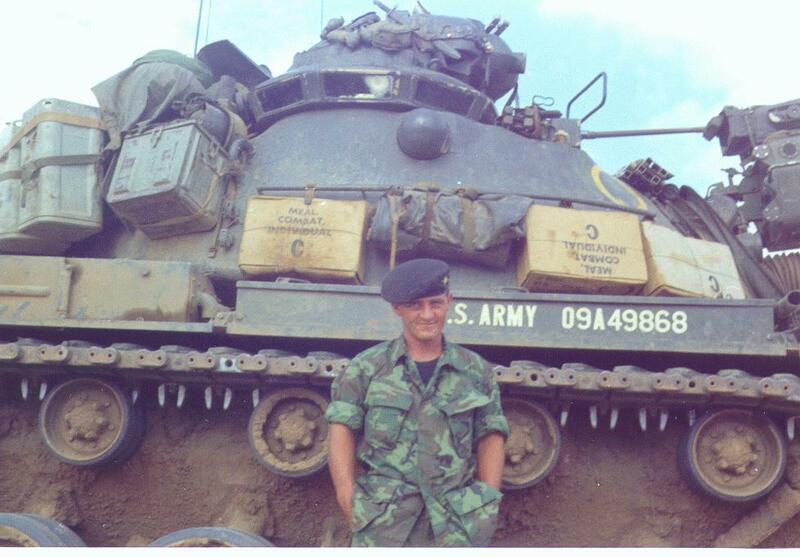 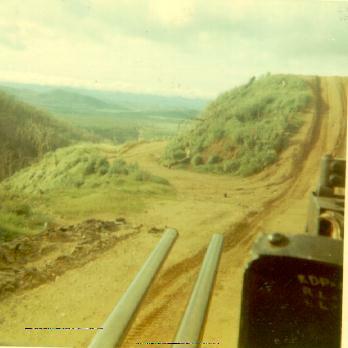 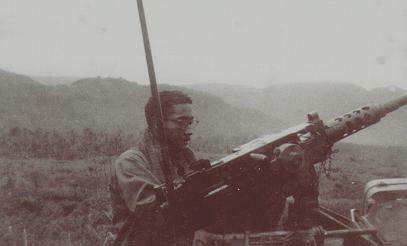 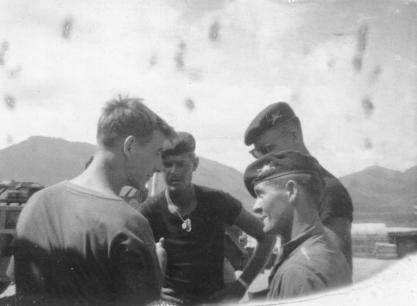 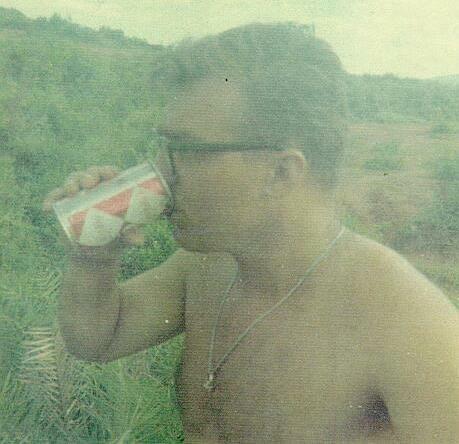 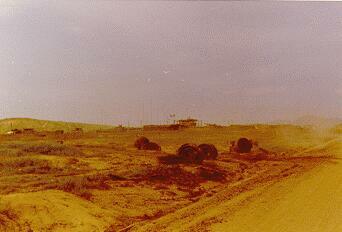 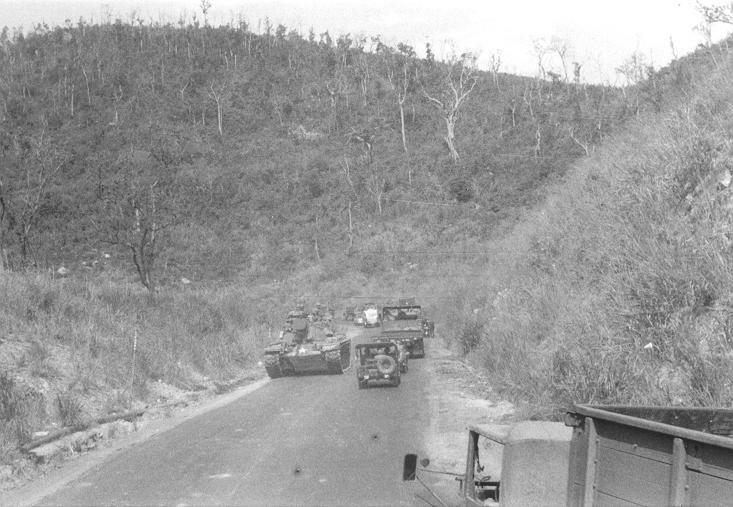 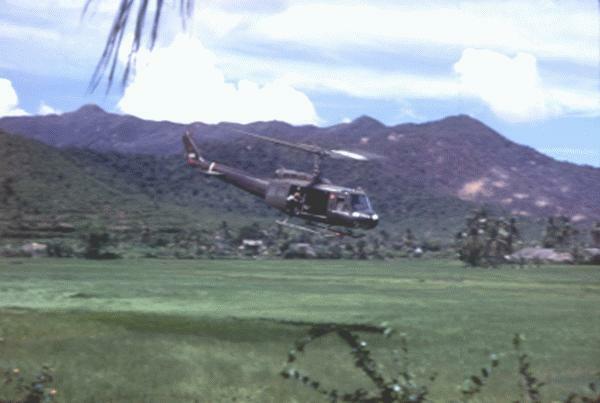 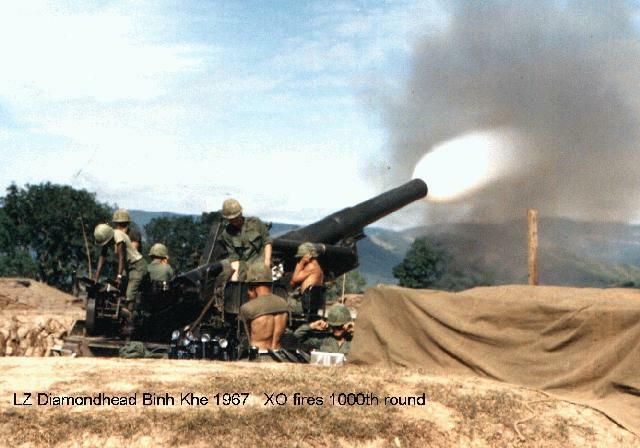 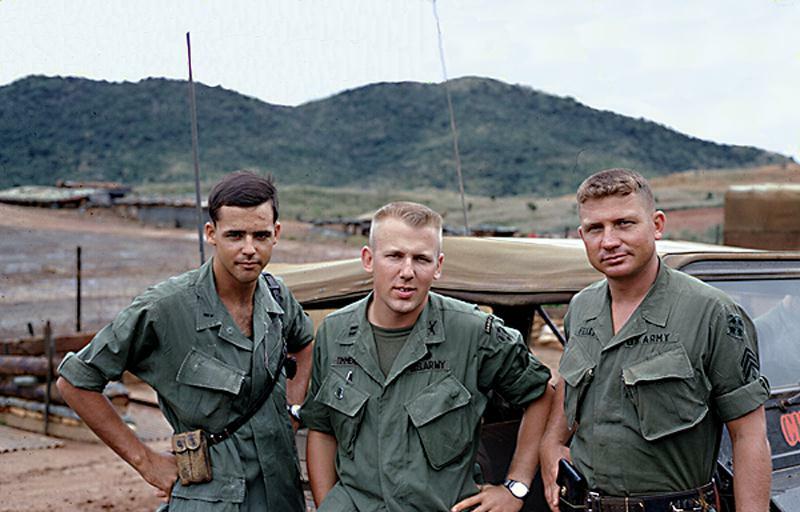 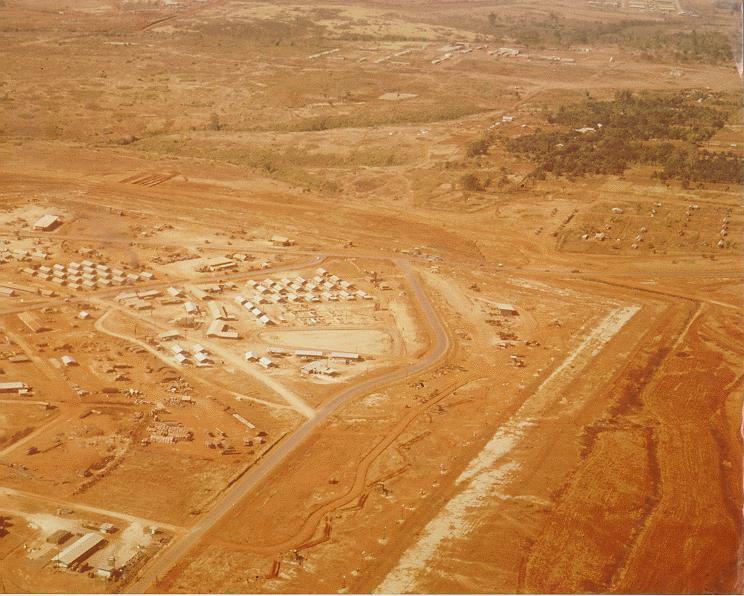 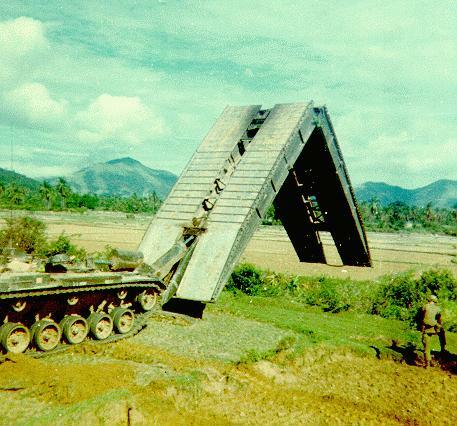 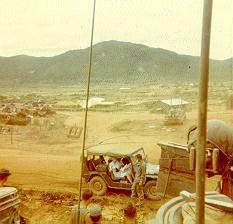 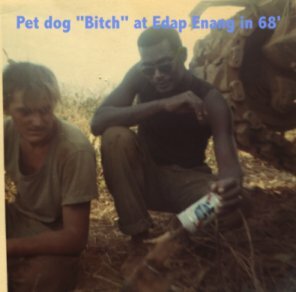 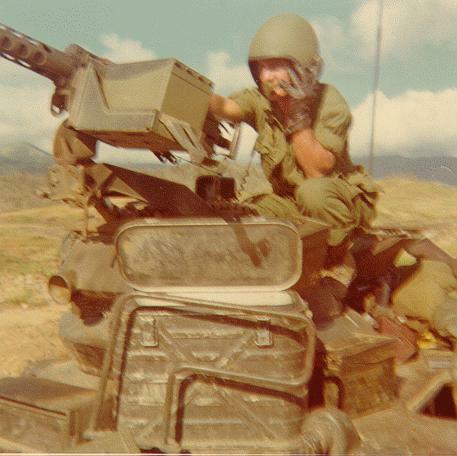 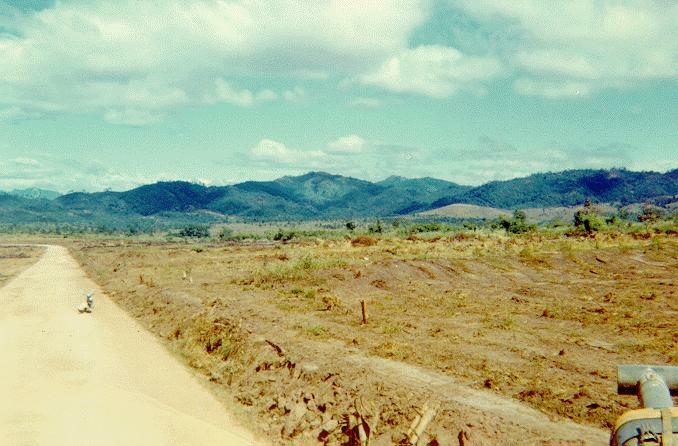 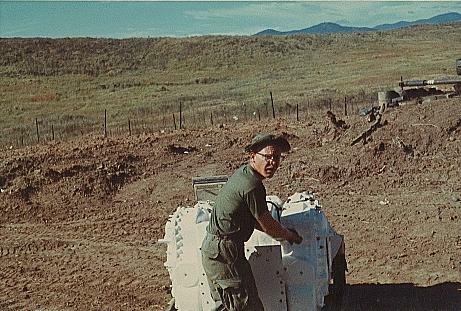 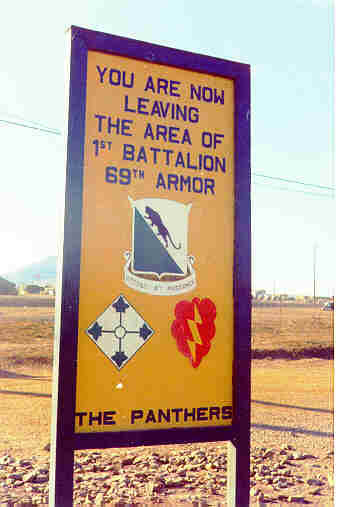 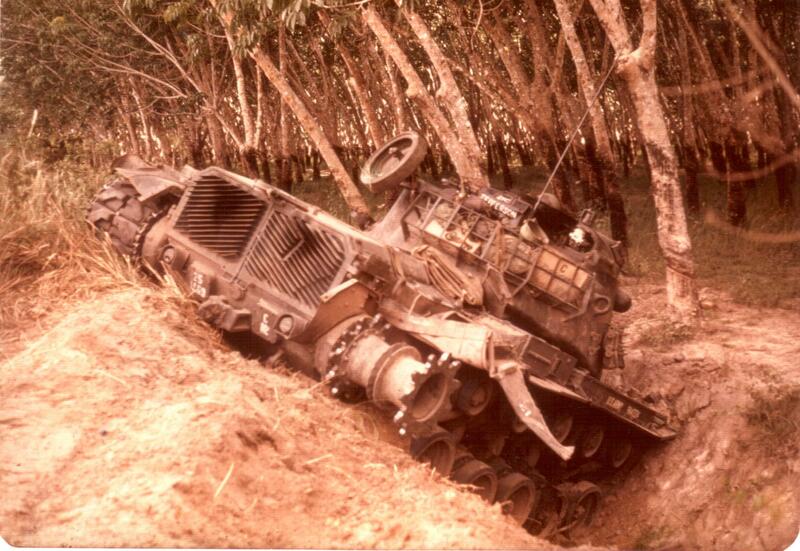 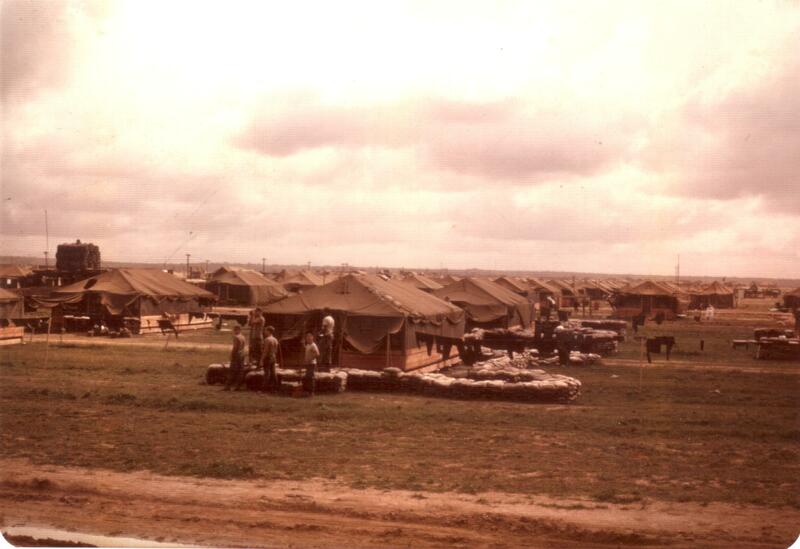 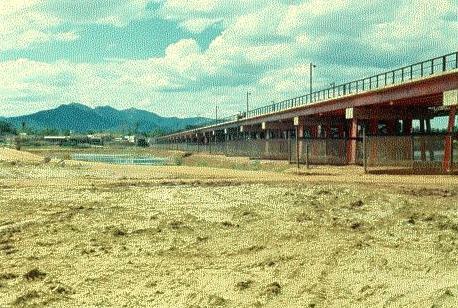 The following photos were taken between April 66 and December 1970, in various places including the Bong Son Plain, Binh Dinh Province, Phan Thiet, and the Central Highlands along Route QL19E and Route QL1. 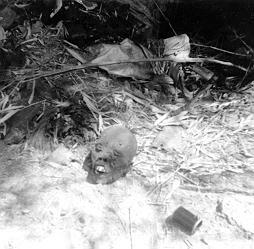 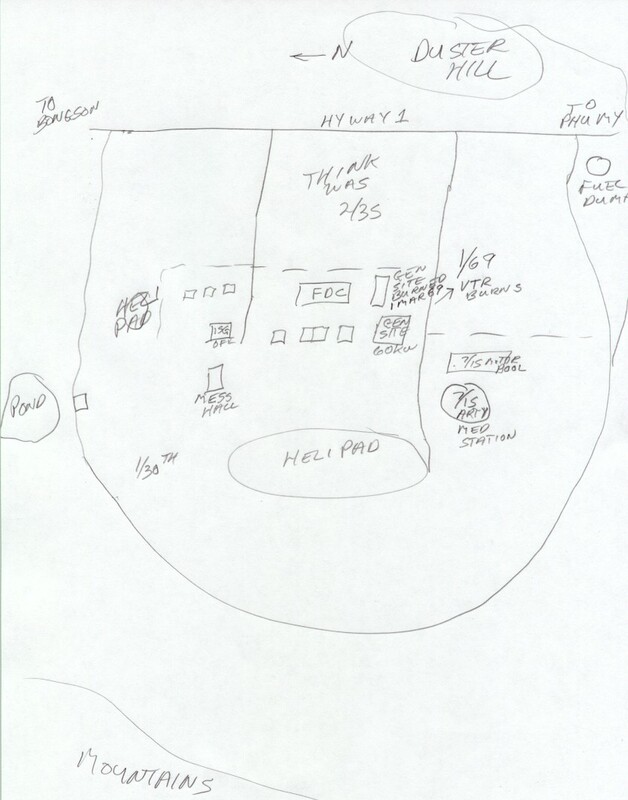 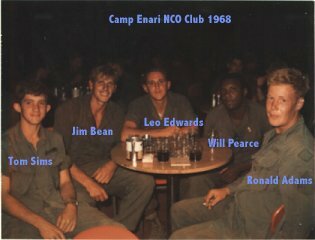 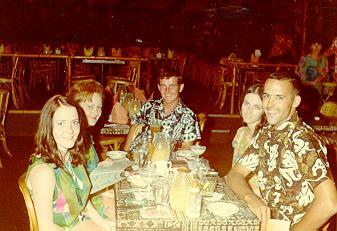 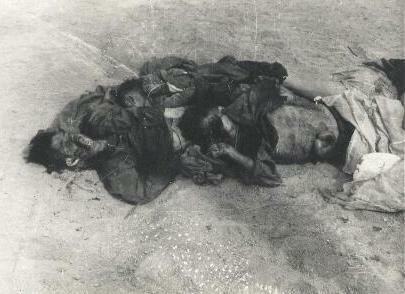 They are listed in the approximate chronological order in which they were taken. 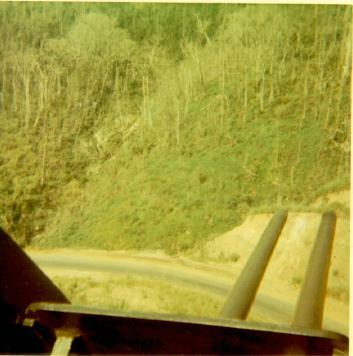 There are approximately 225 photos. 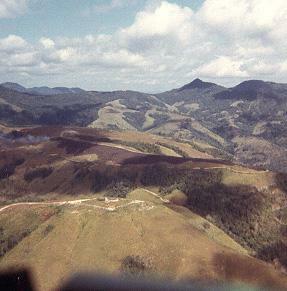 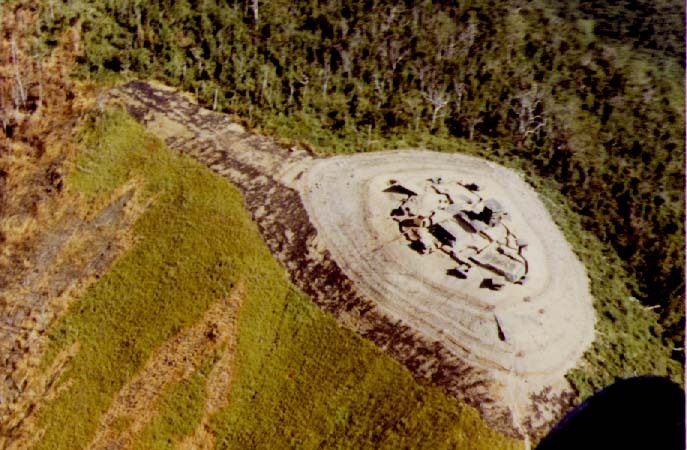 LZ Schueller Aerial shot taken as morning mine-sweep is getting underway, looking south.